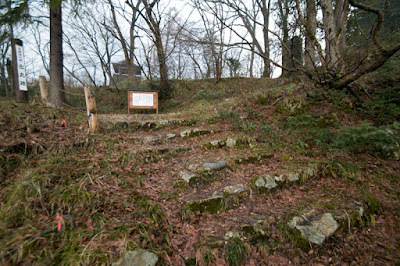 Tsugawa castle (津川城) is located at the edge of Shiroyama mountain, a ridge of Kirinzan mountain beside Aganogawa river in Aga town. 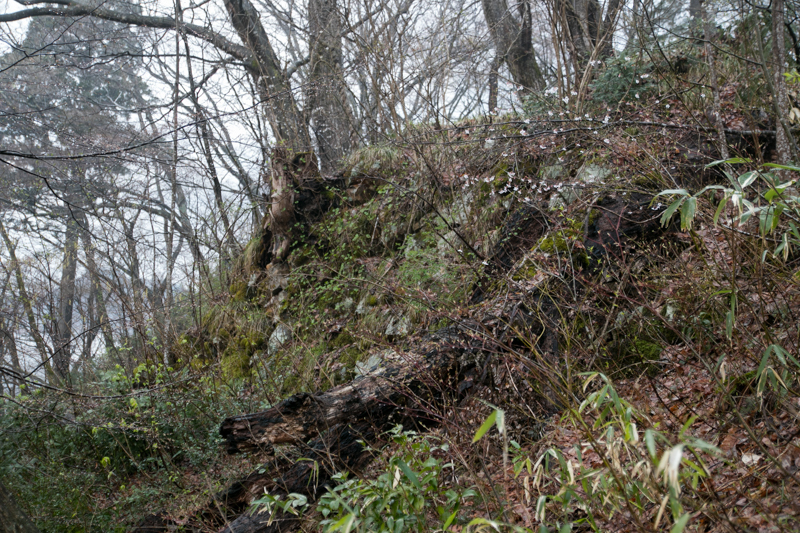 Kirinzan mountain has an eye catching shape like a lying dragon on water, and the site of Tsugawa castle is applicable to the nose of this dragon's head. 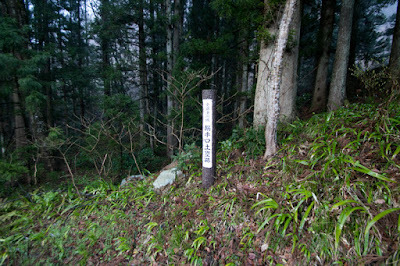 The name "Kirin" means an imaginary creature like a dragon in China and Japan, although now it also means giraffe. 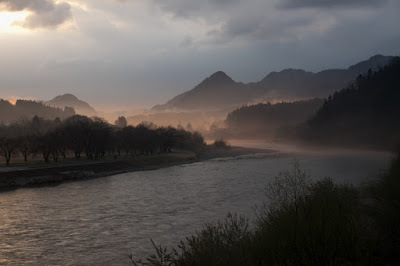 Aganogawa river (called as Aga river in Aizu basin) runs through the valley among mountainous area about 20 kilometers from Aizu basin to Niigata plain. 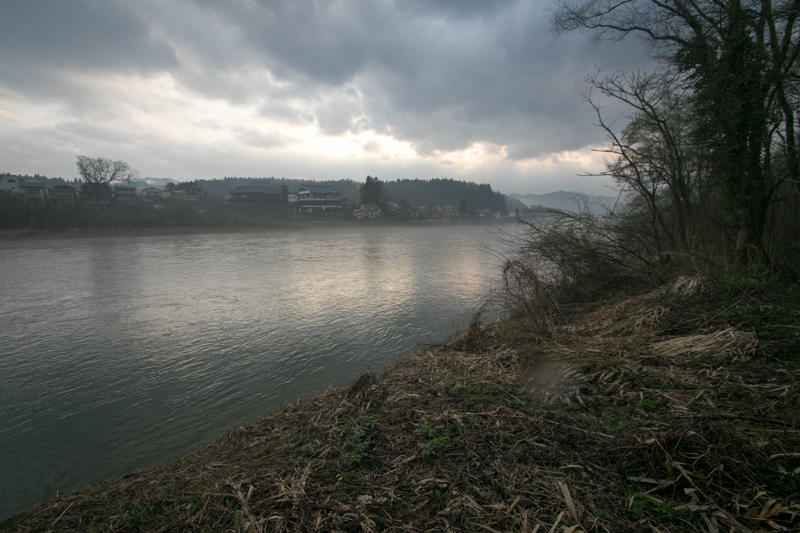 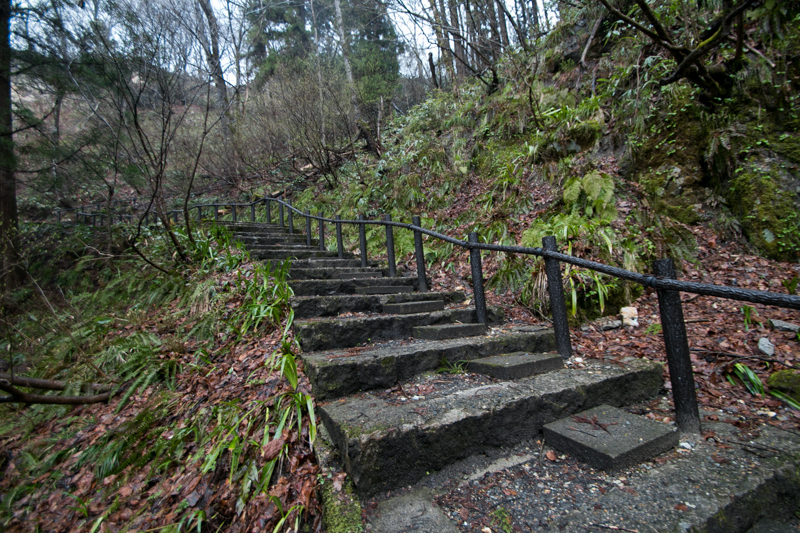 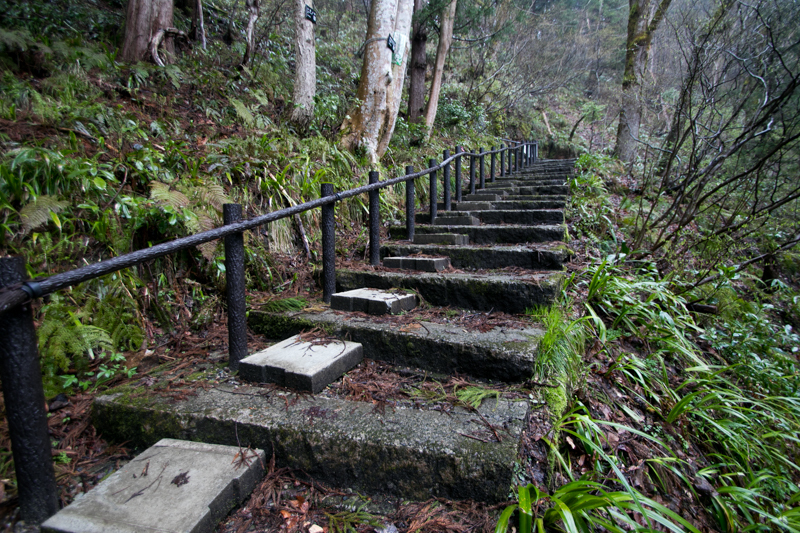 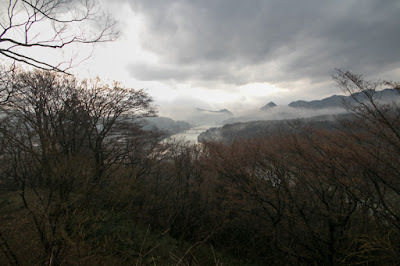 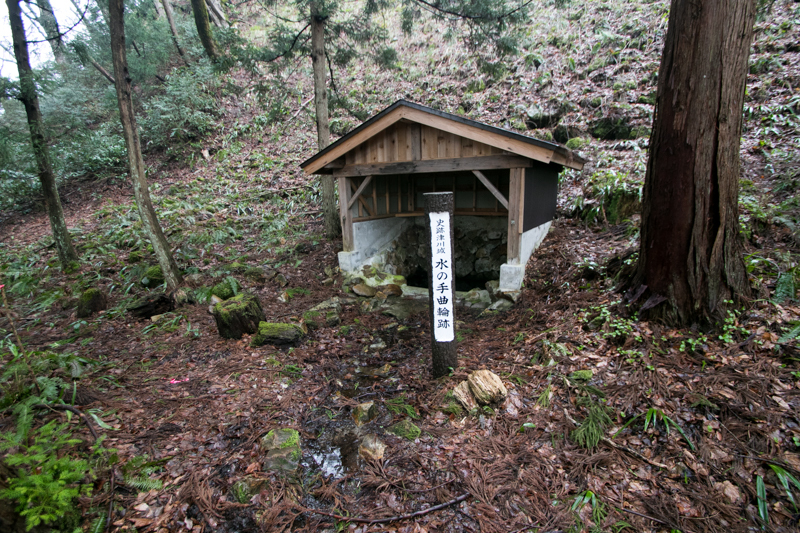 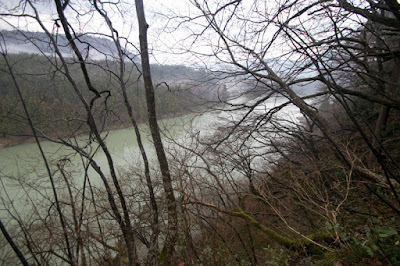 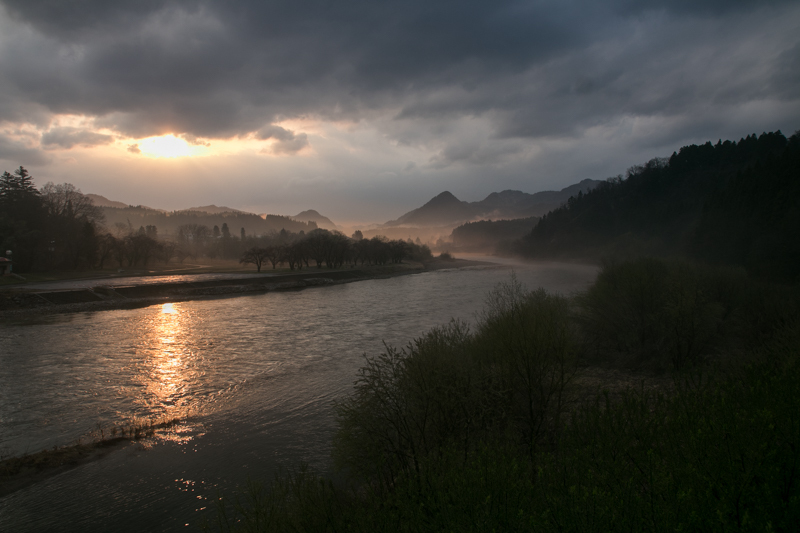 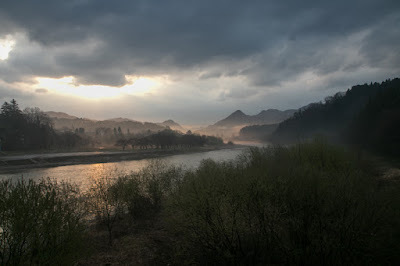 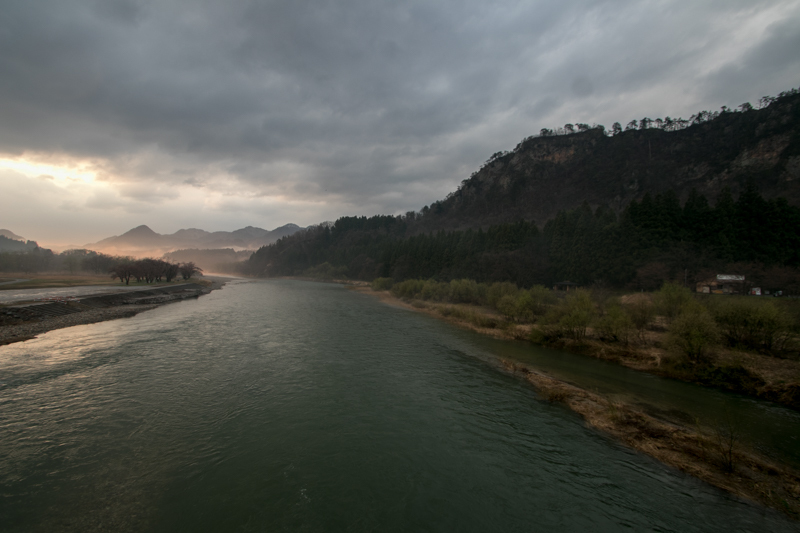 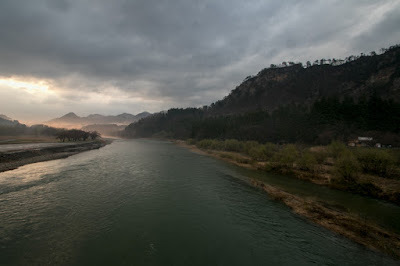 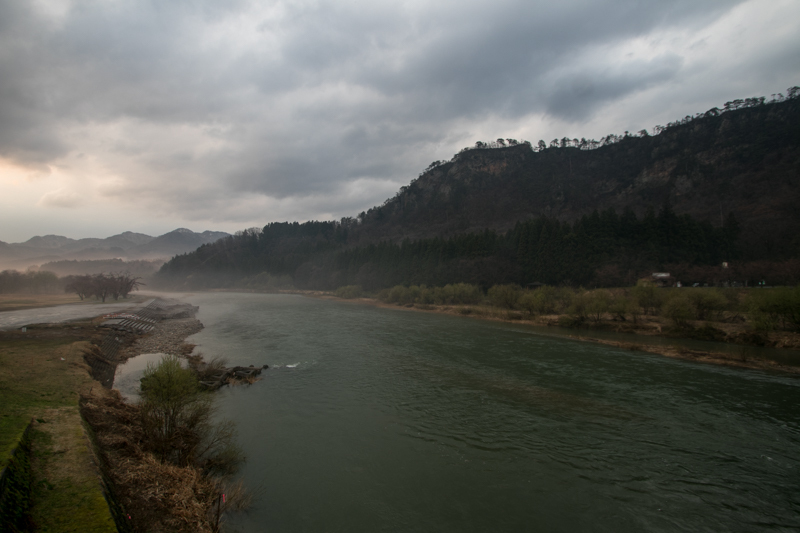 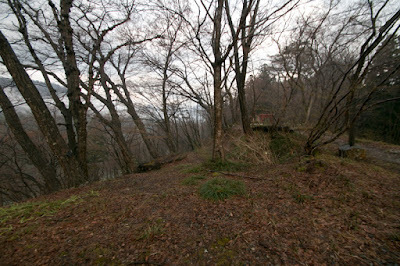 Aga town is a small basin located at the middle of such valley, and Tsugawa area prospered as a connection point of river transportation and land transportation. 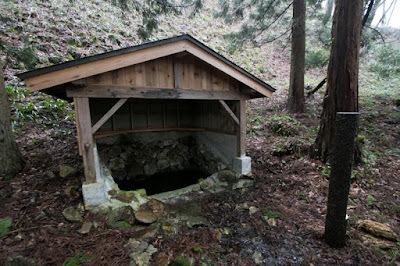 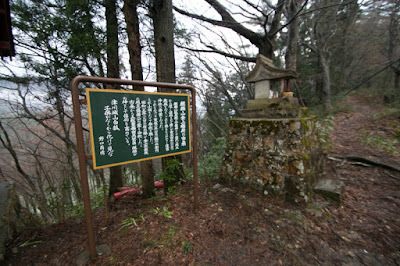 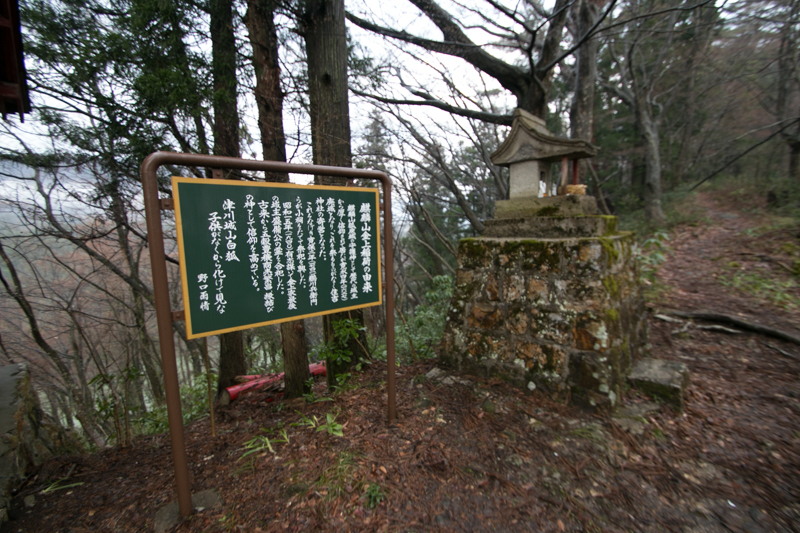 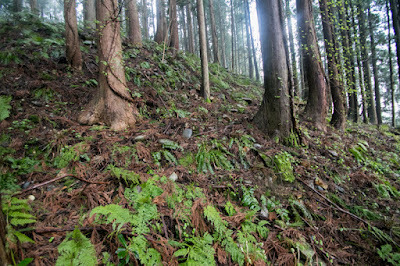 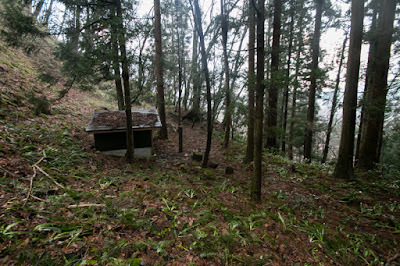 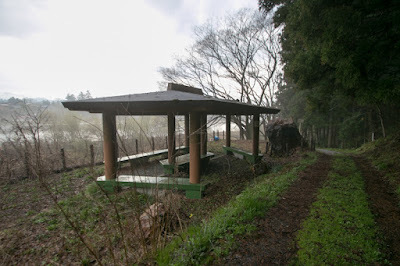 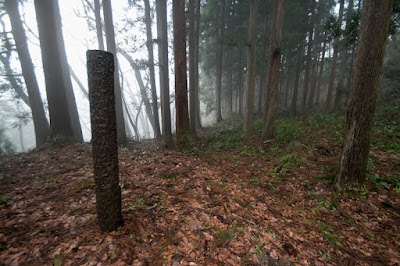 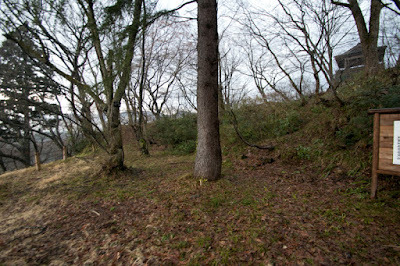 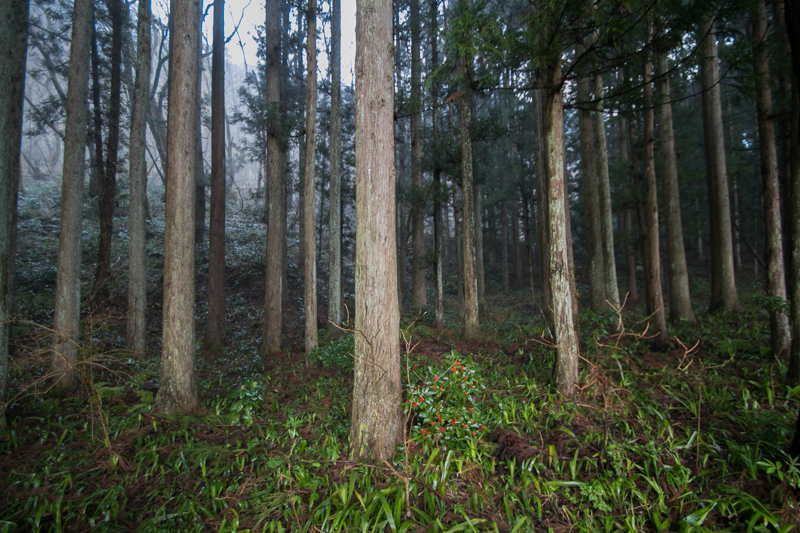 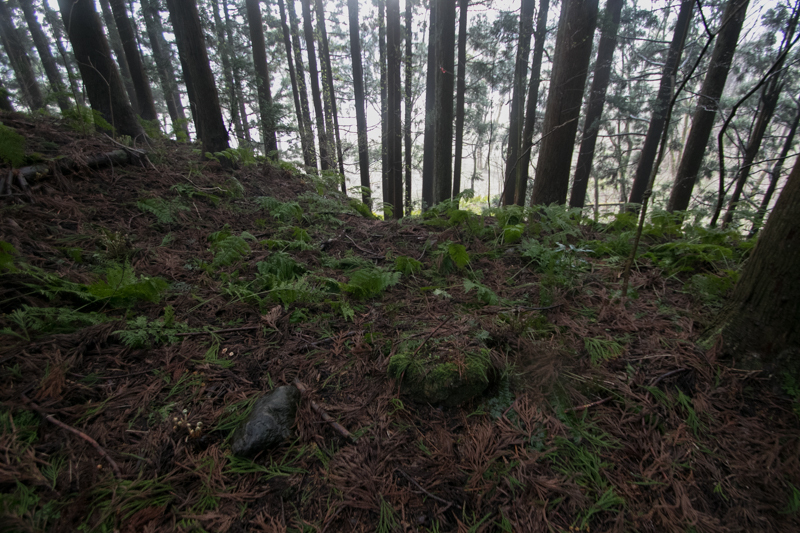 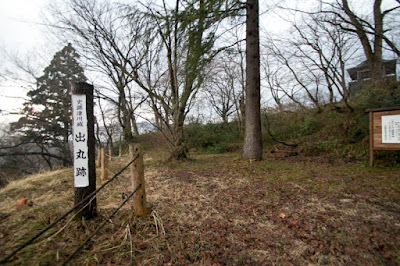 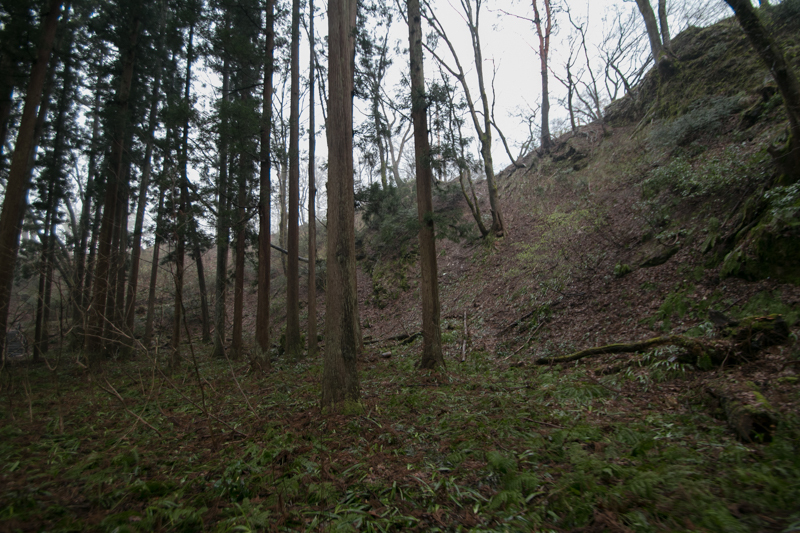 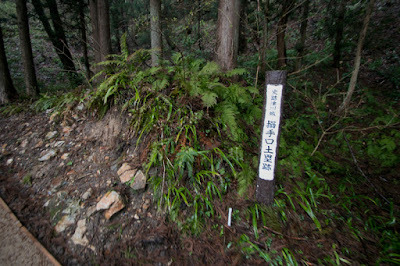 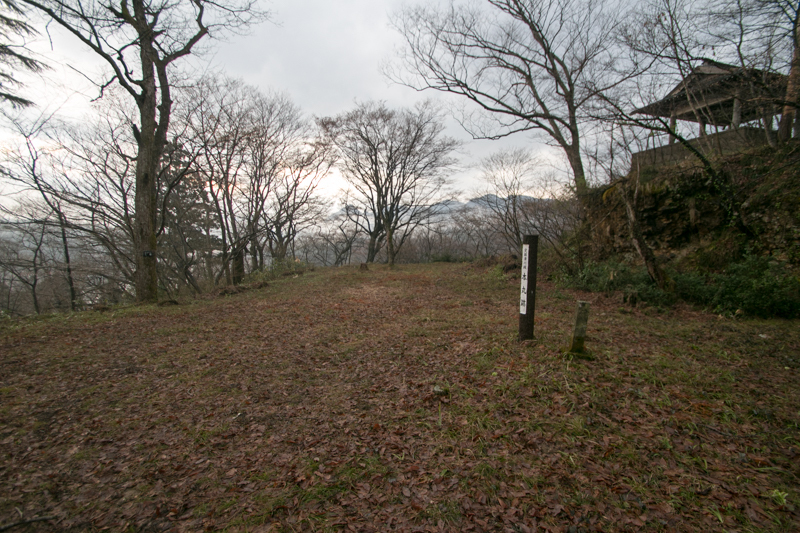 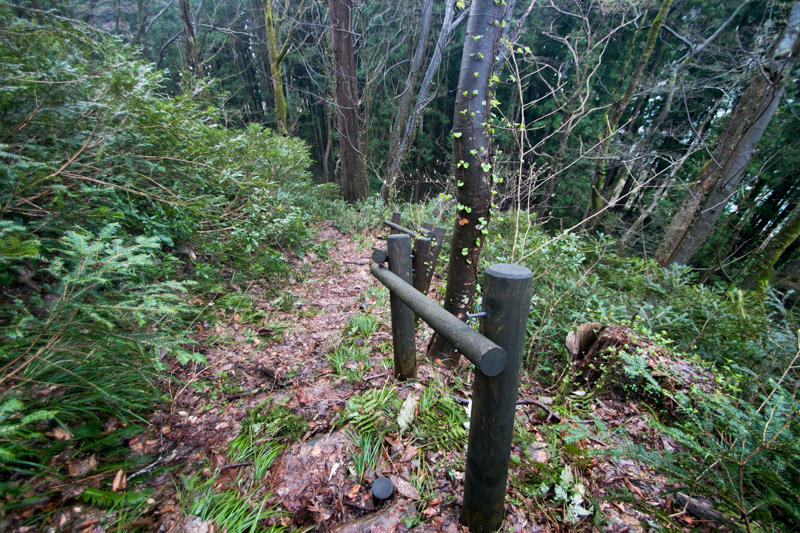 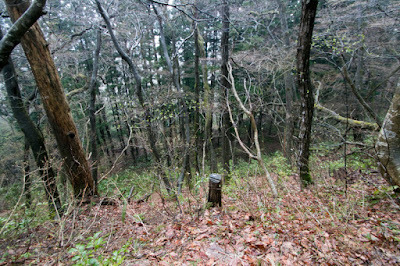 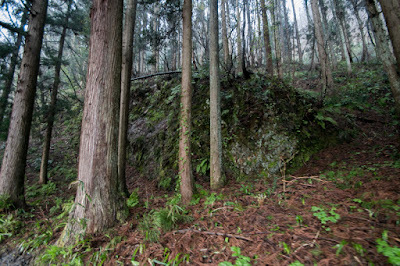 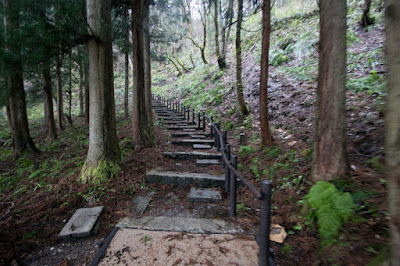 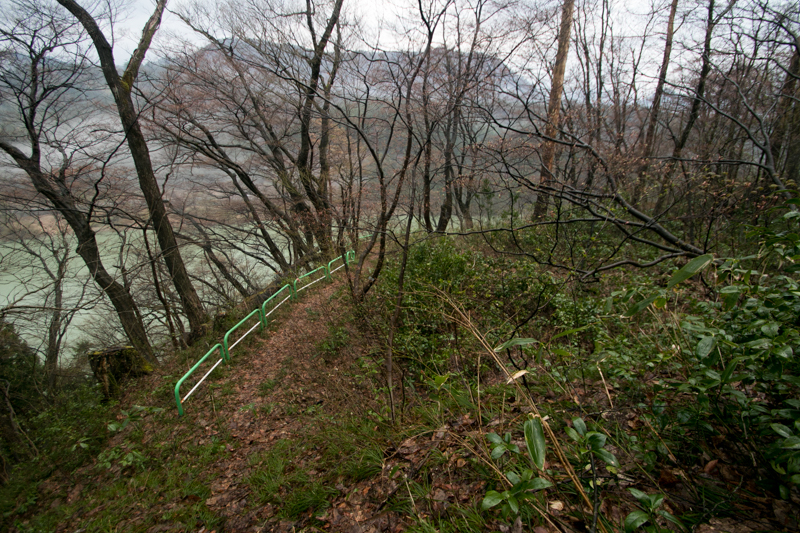 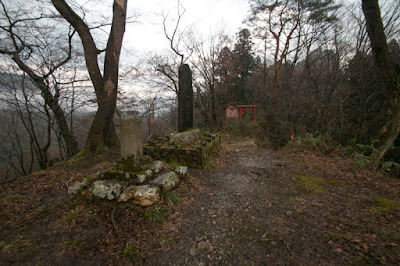 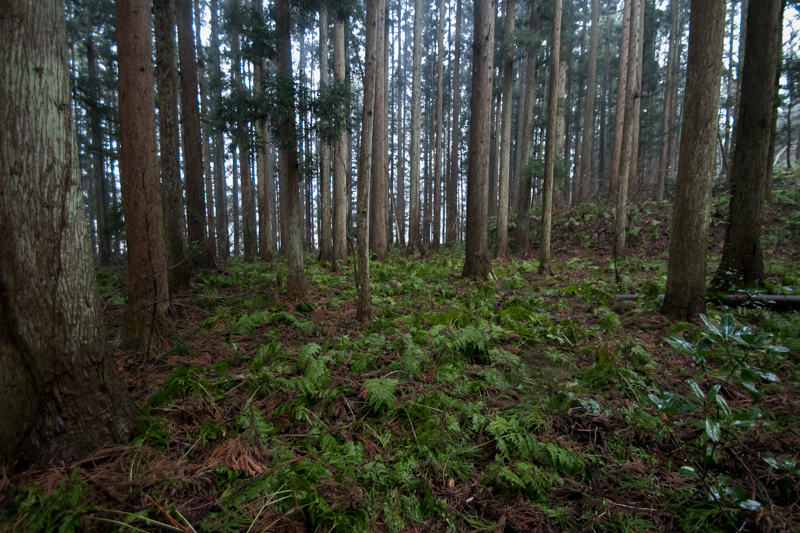 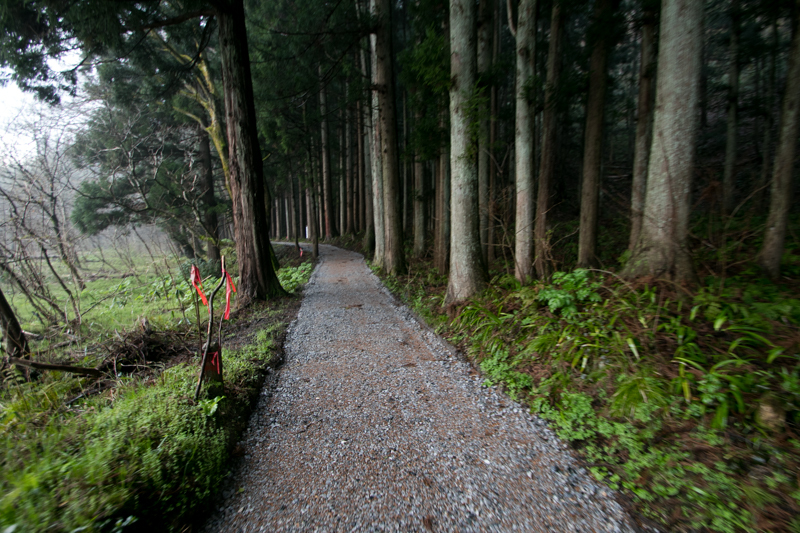 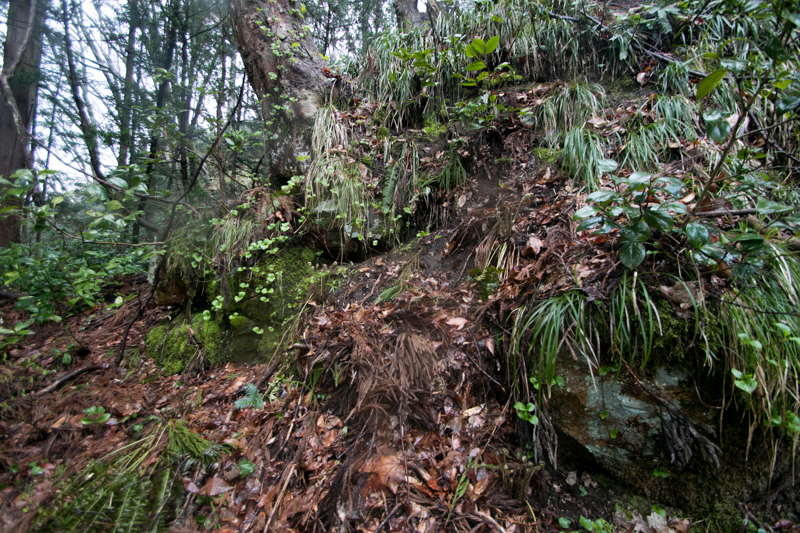 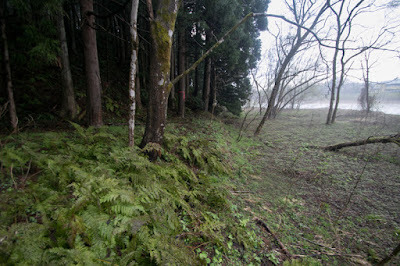 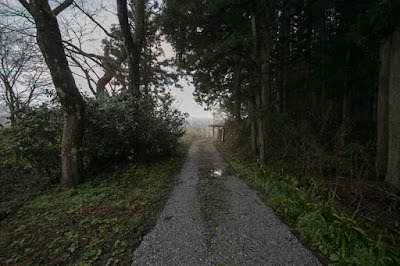 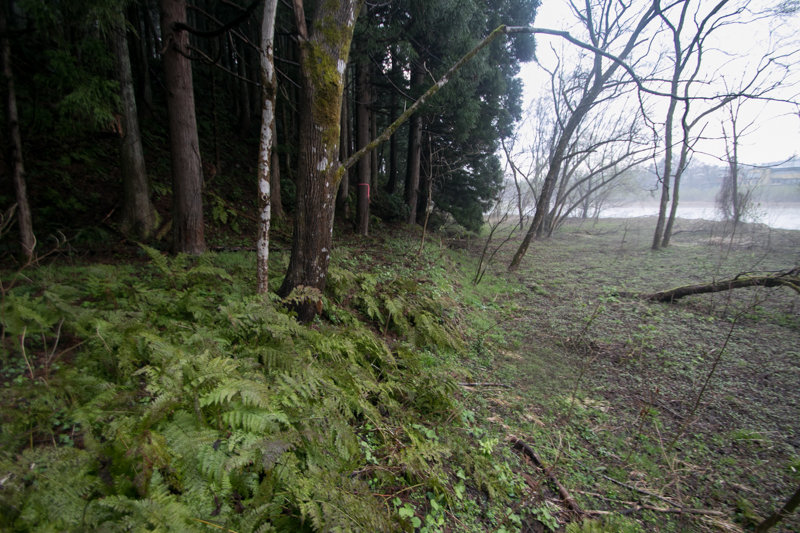 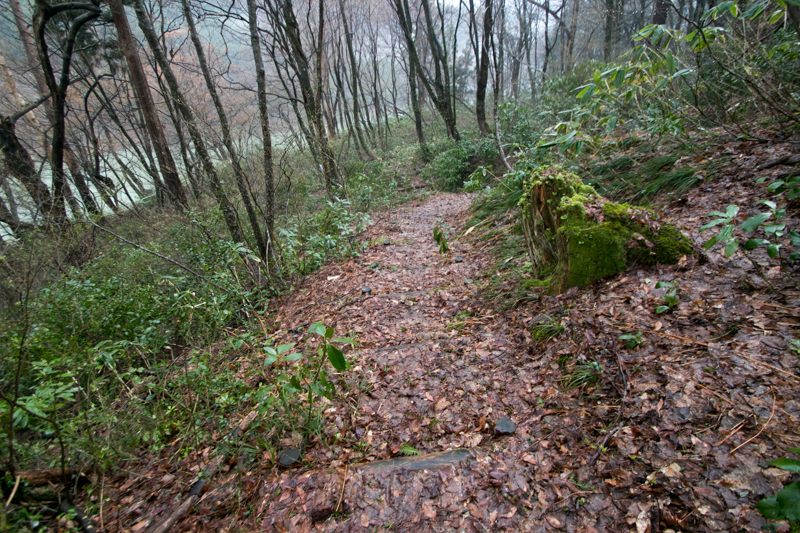 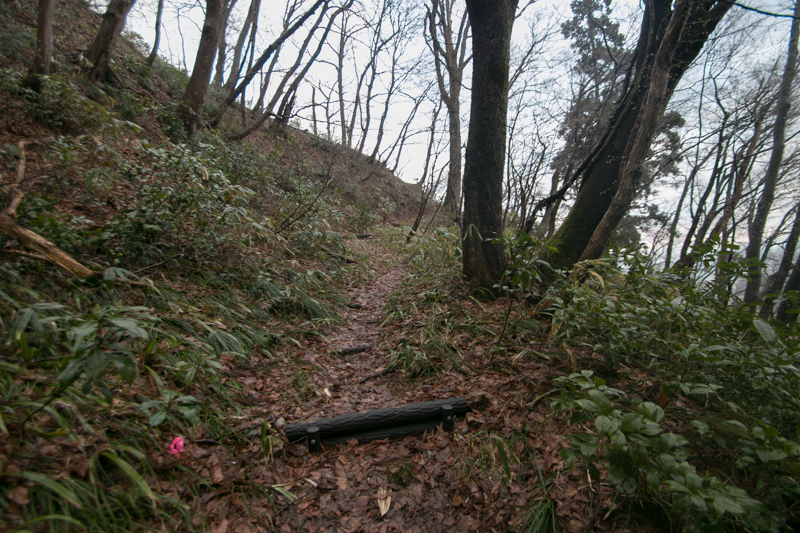 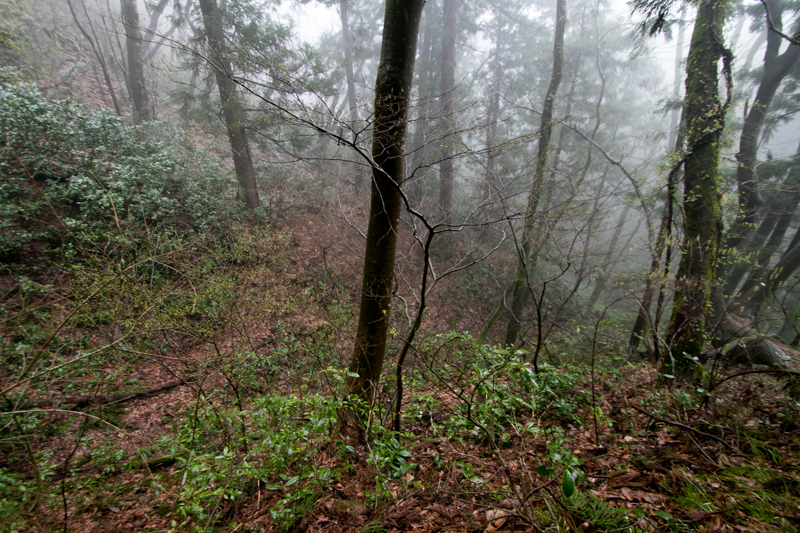 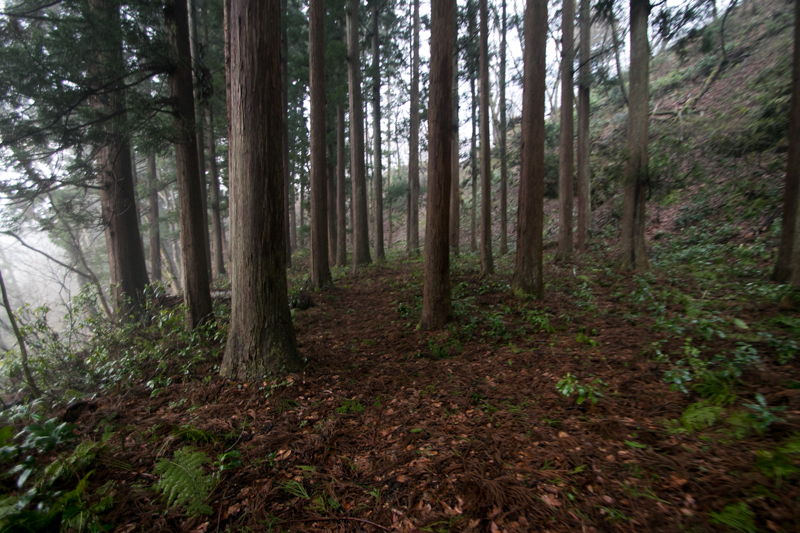 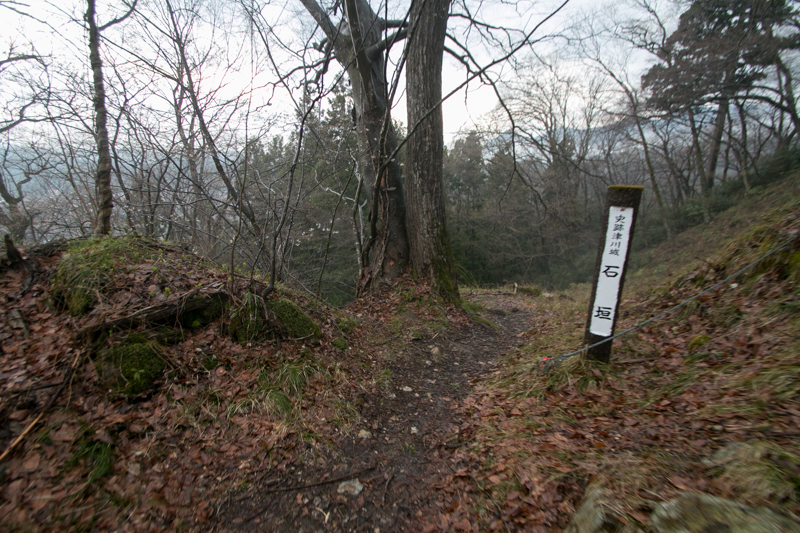 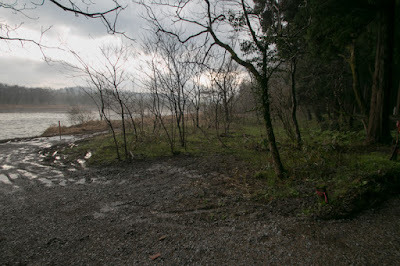 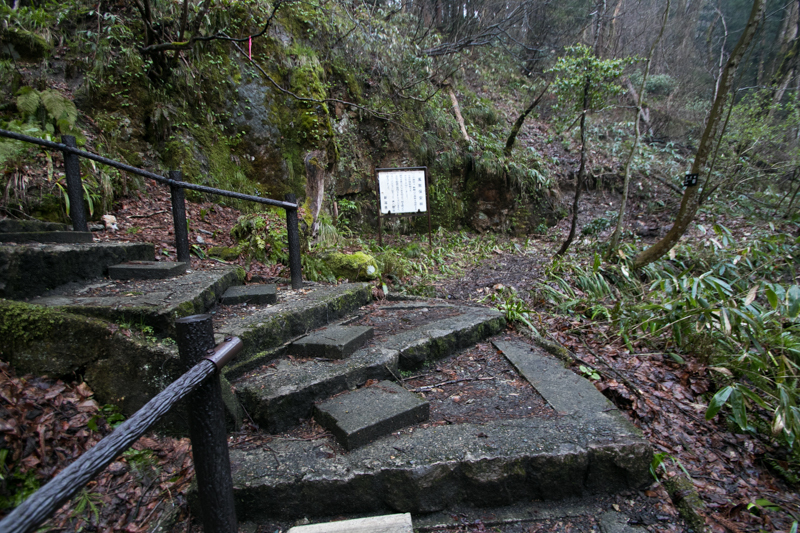 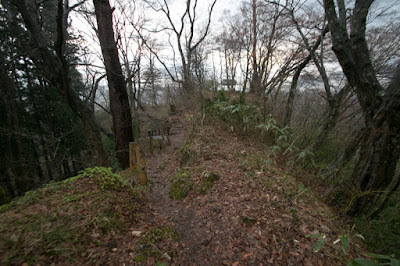 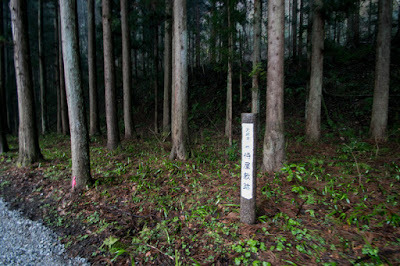 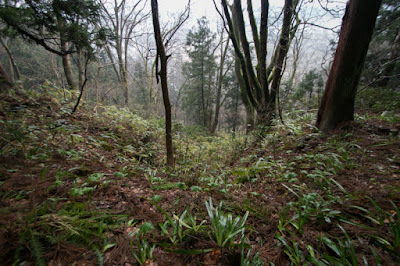 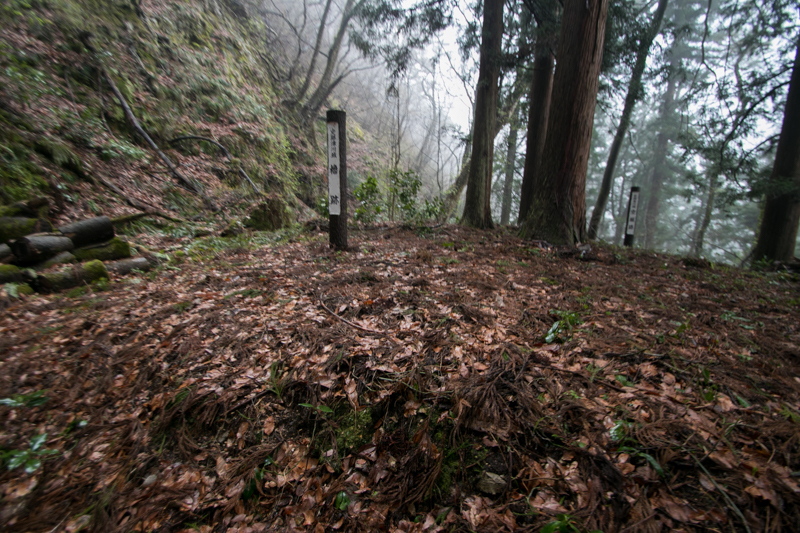 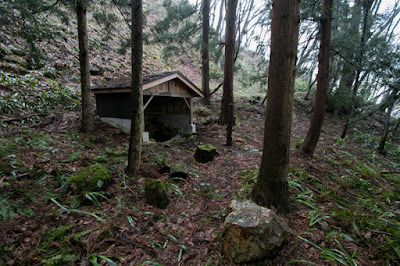 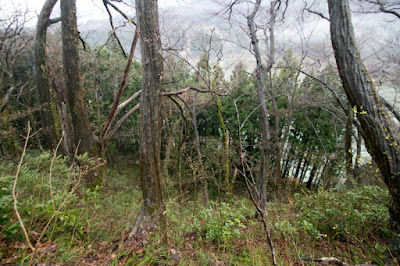 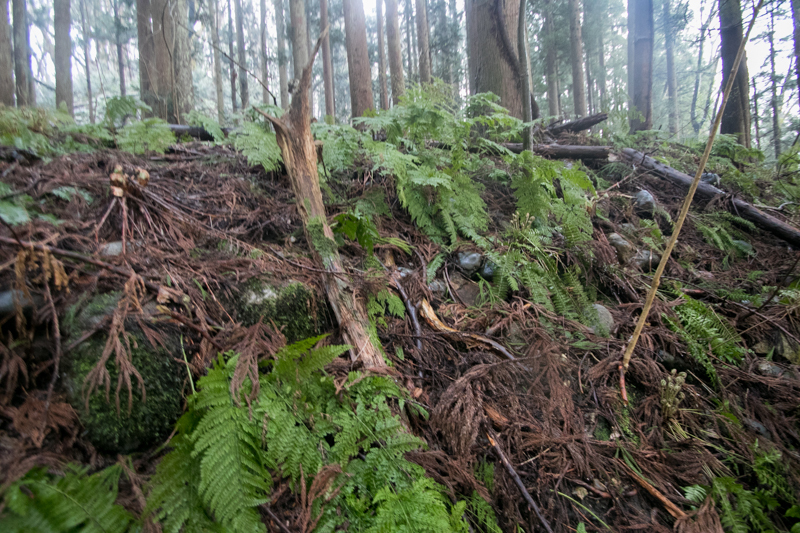 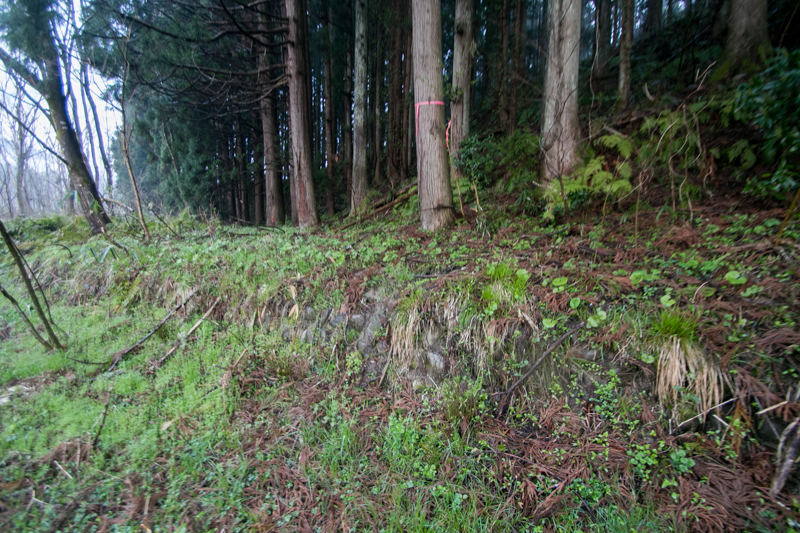 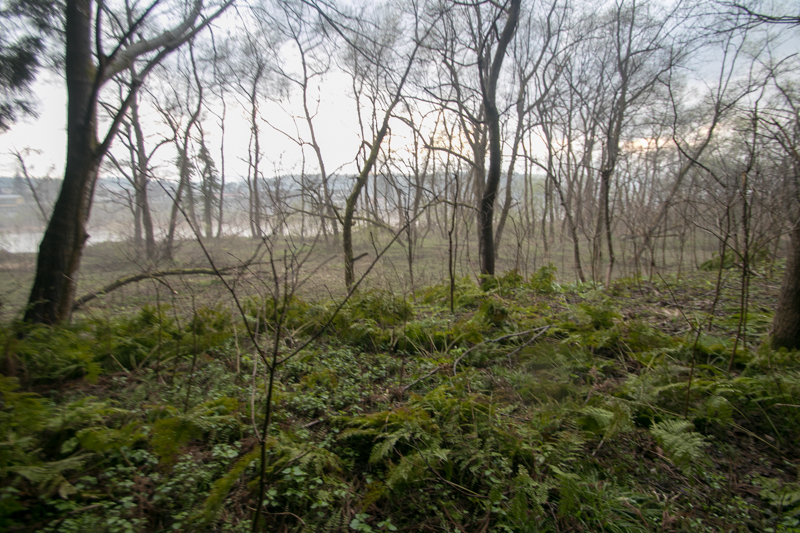 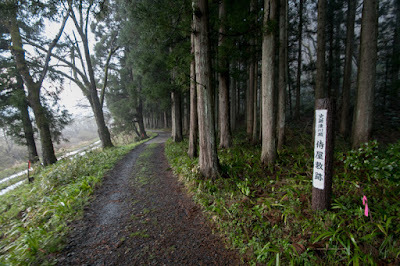 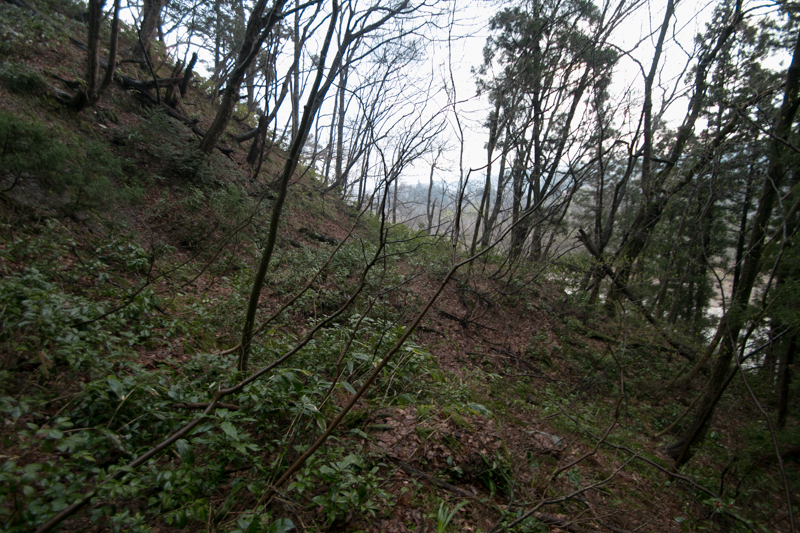 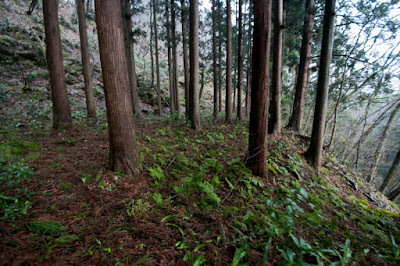 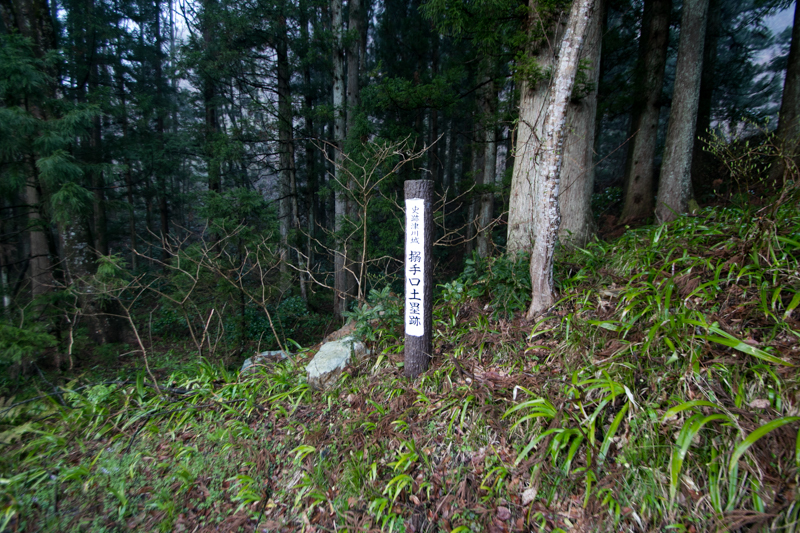 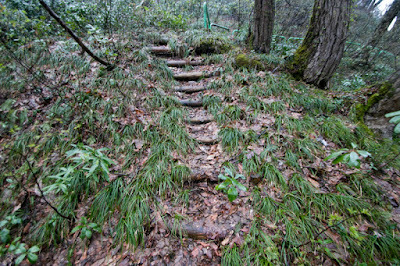 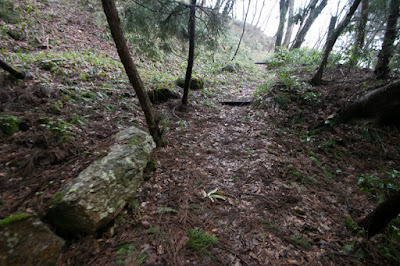 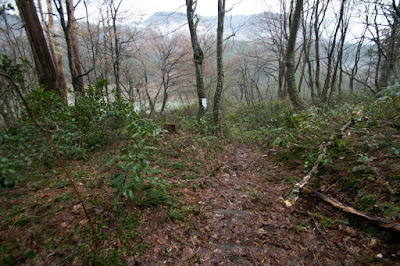 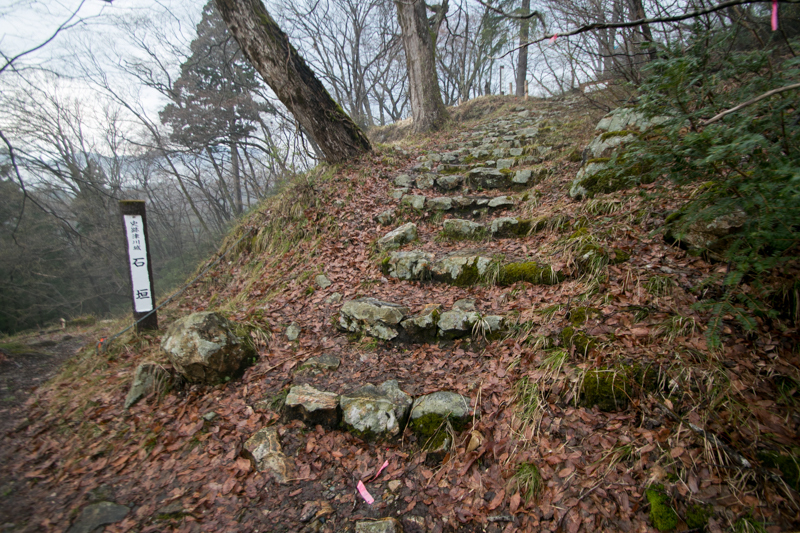 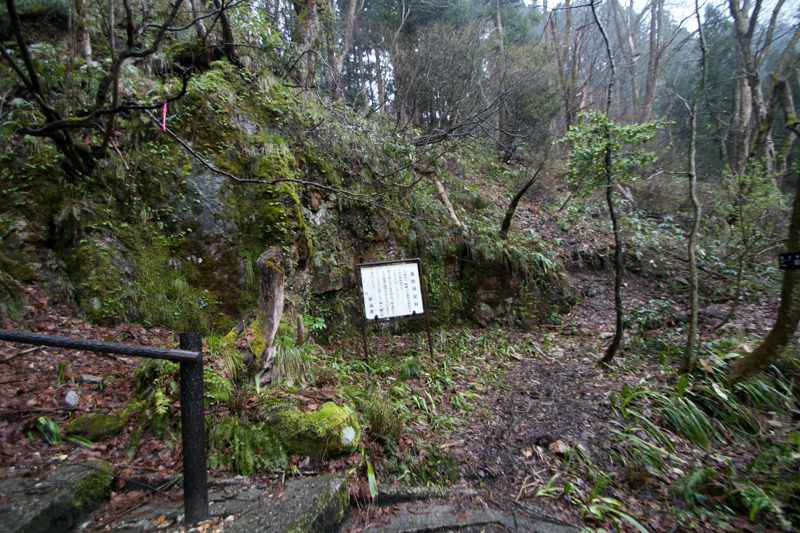 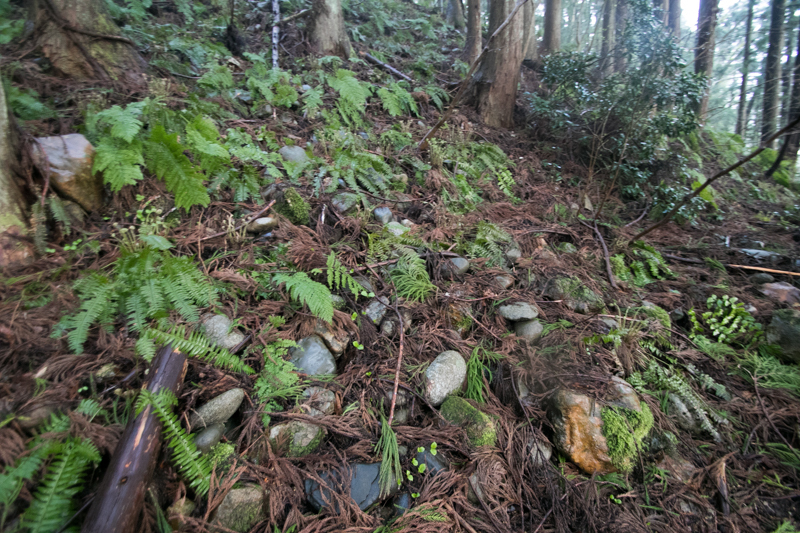 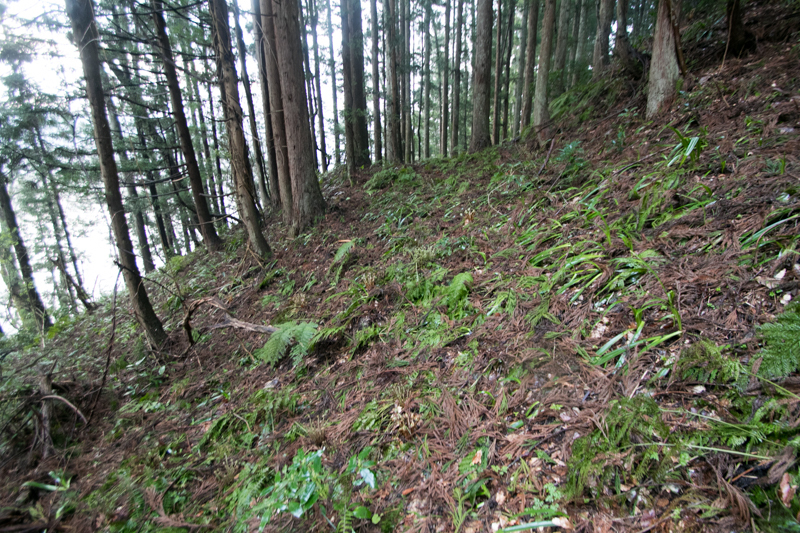 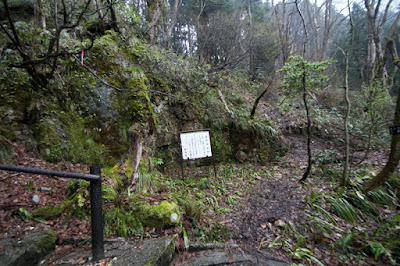 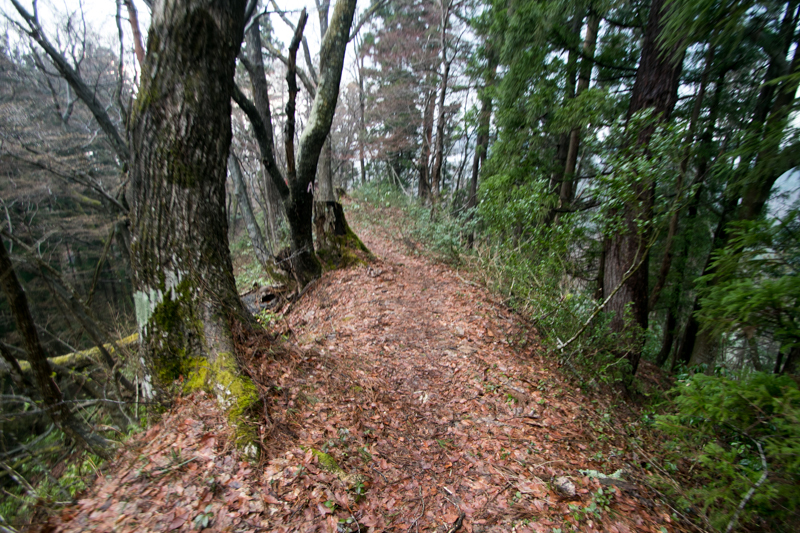 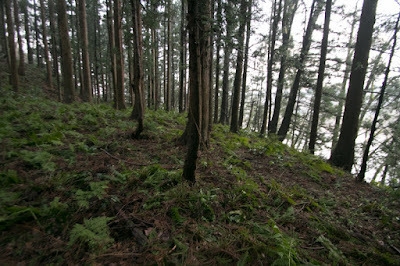 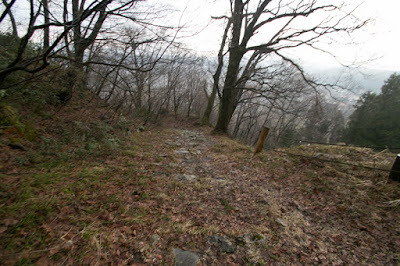 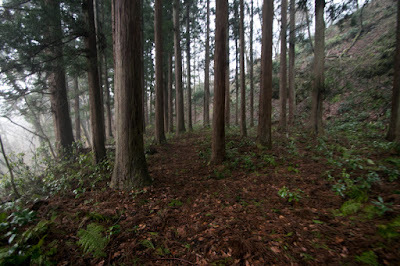 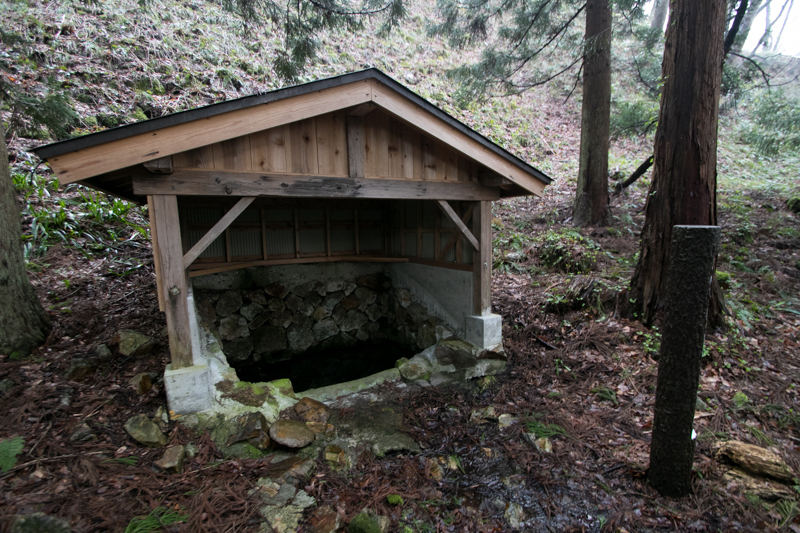 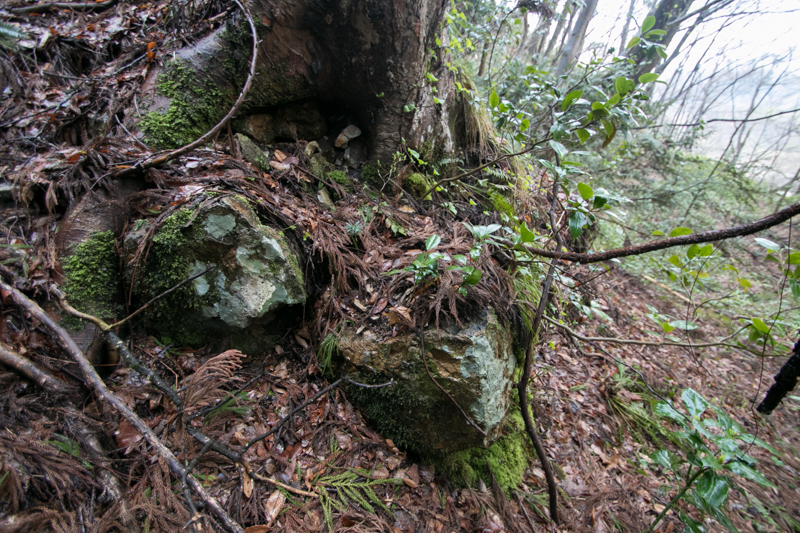 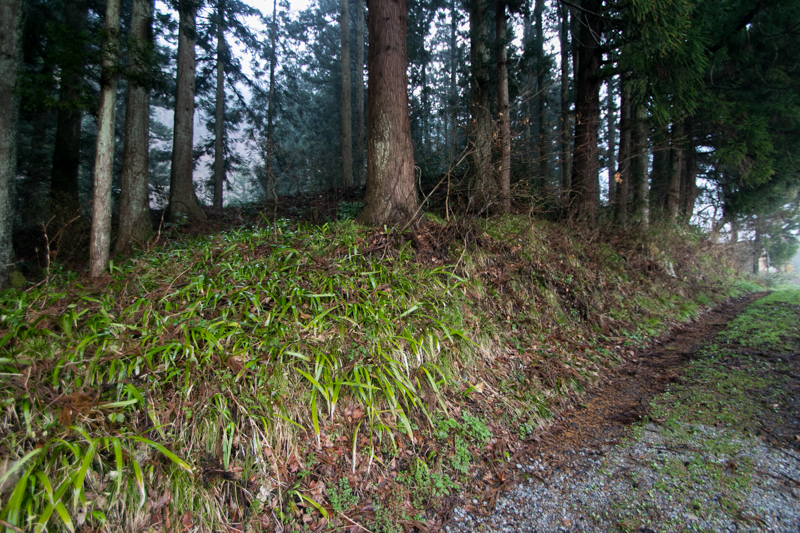 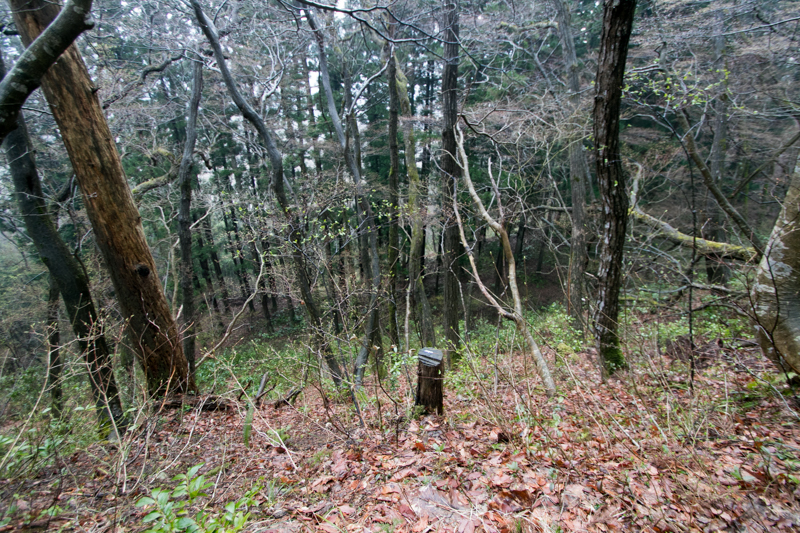 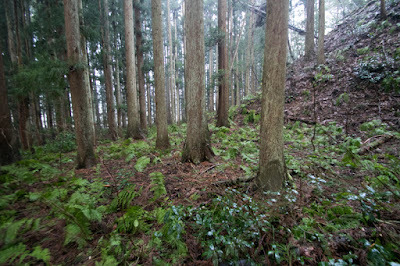 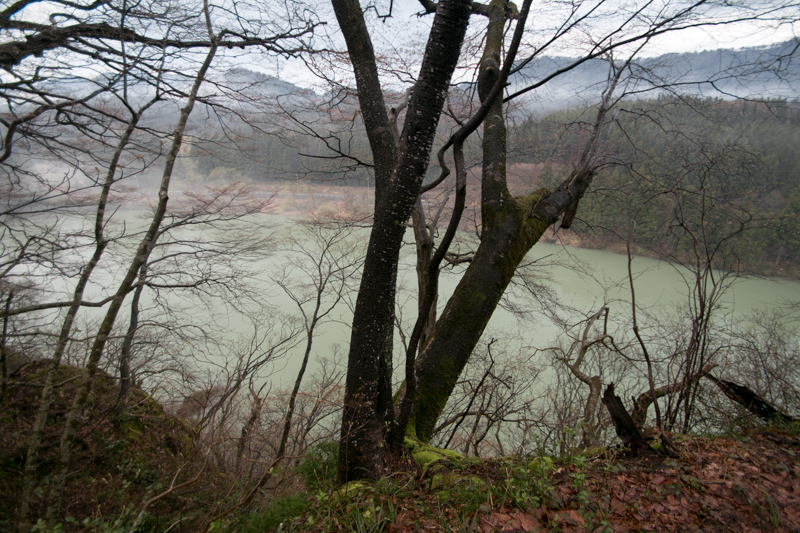 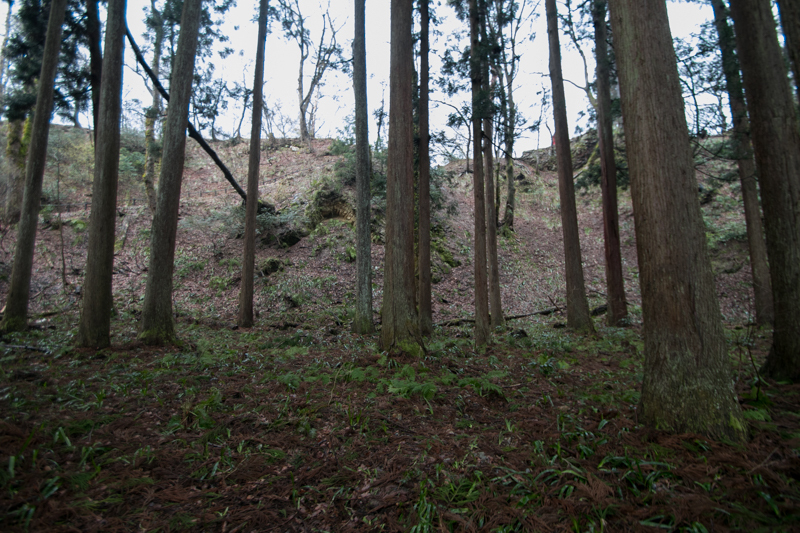 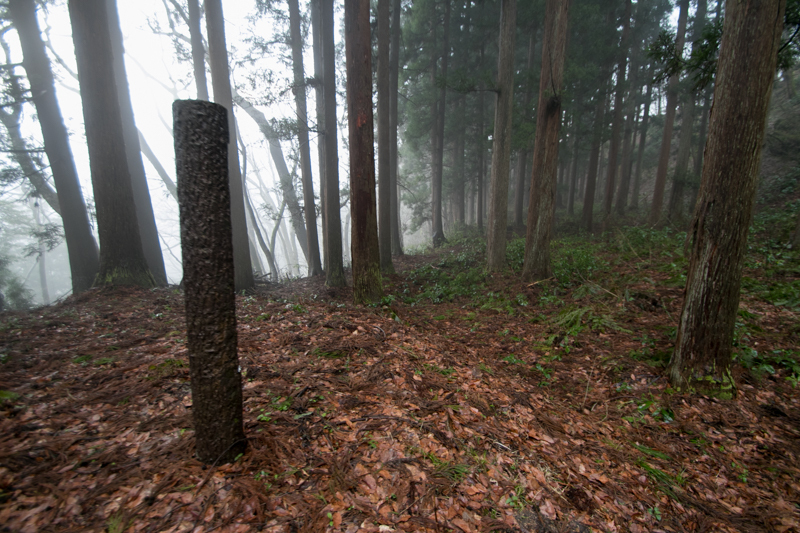 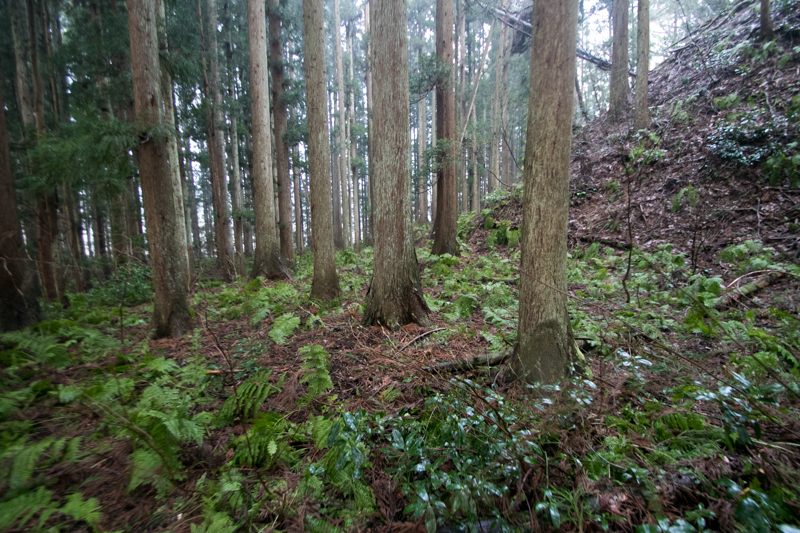 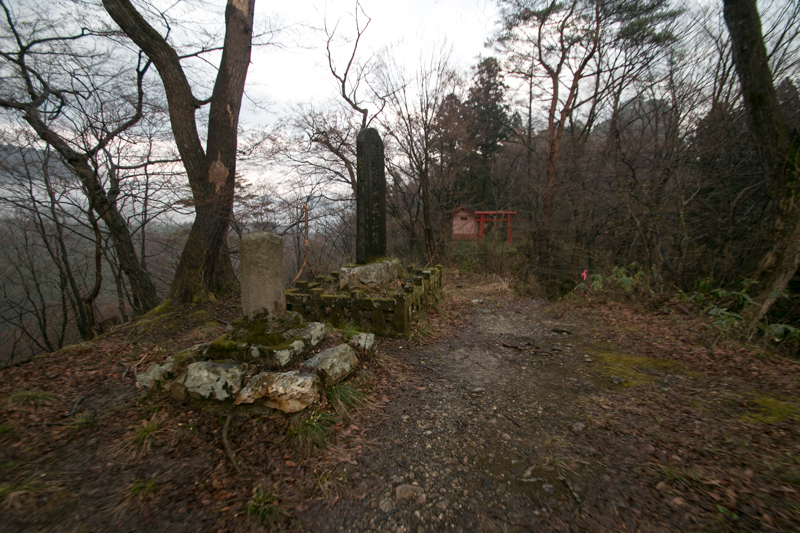 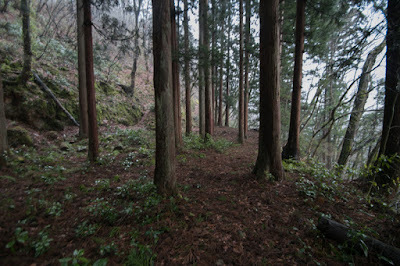 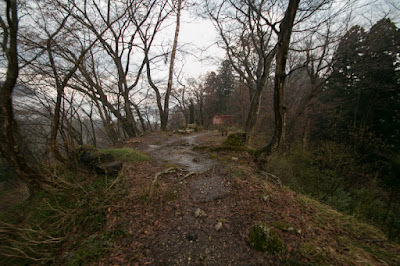 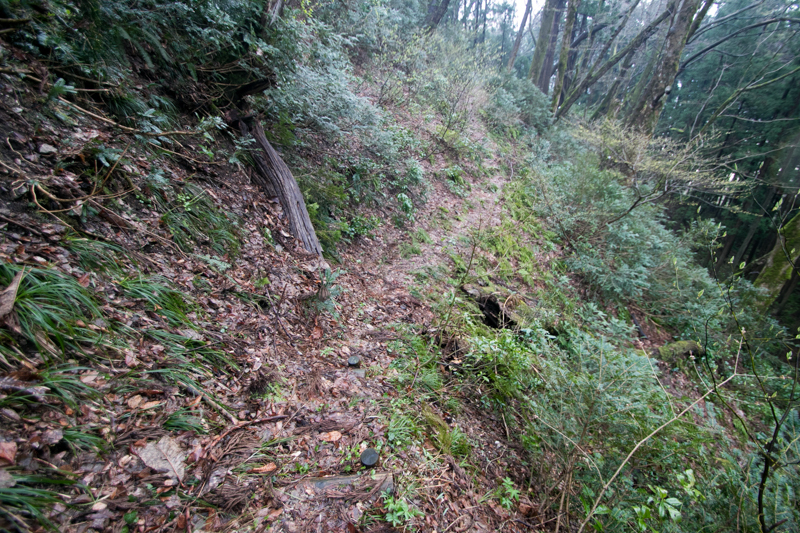 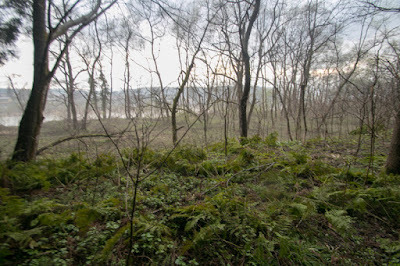 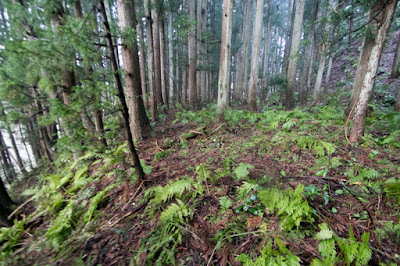 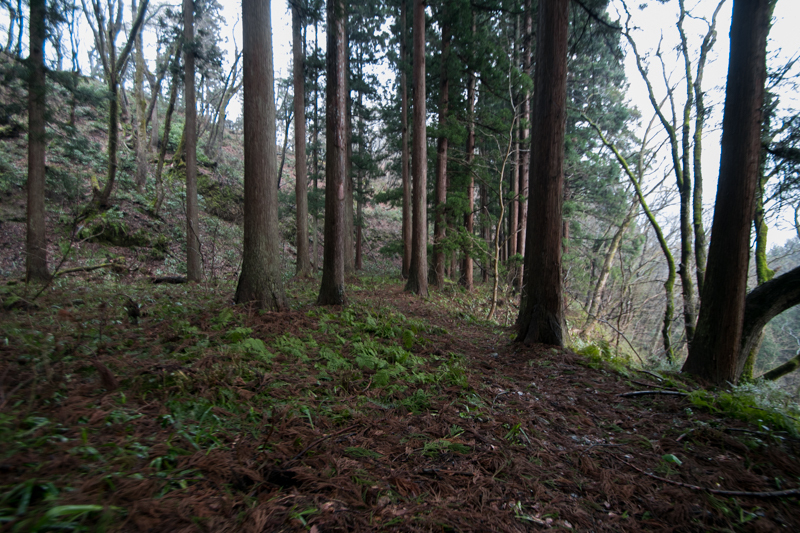 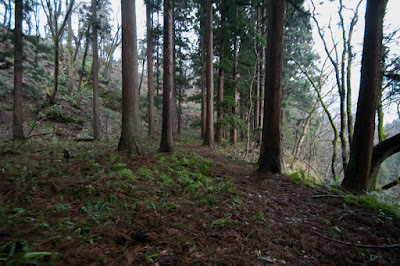 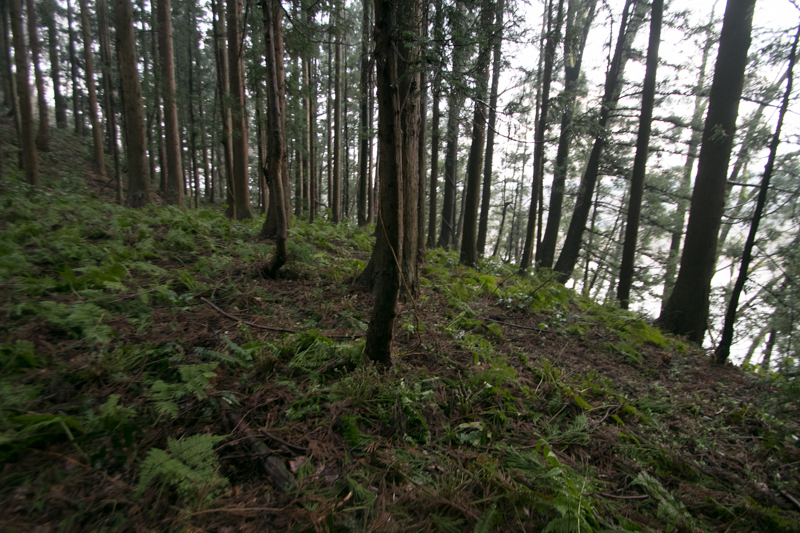 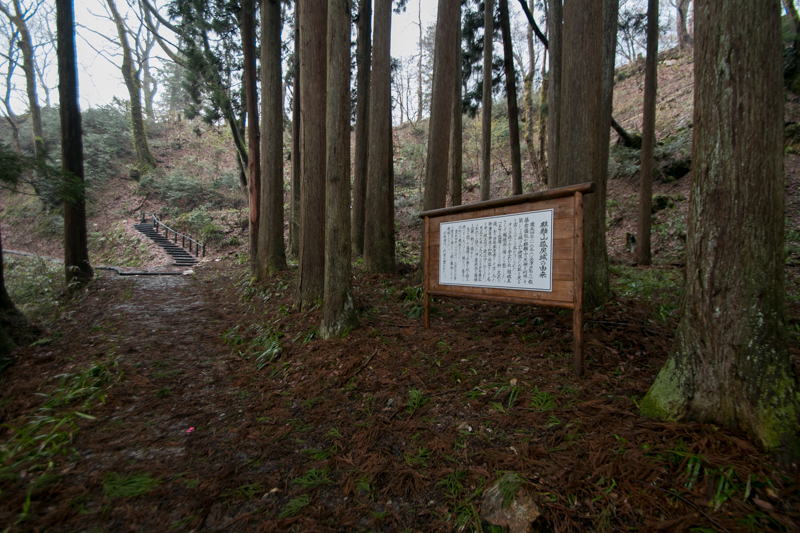 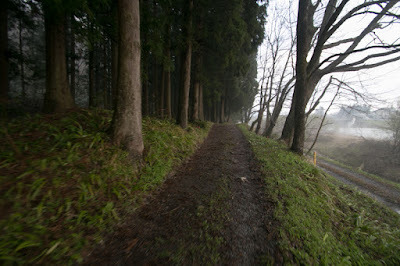 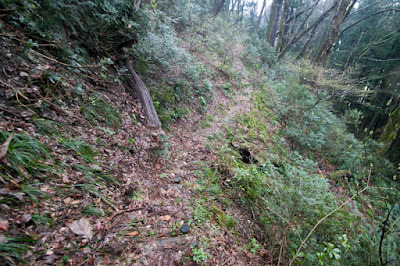 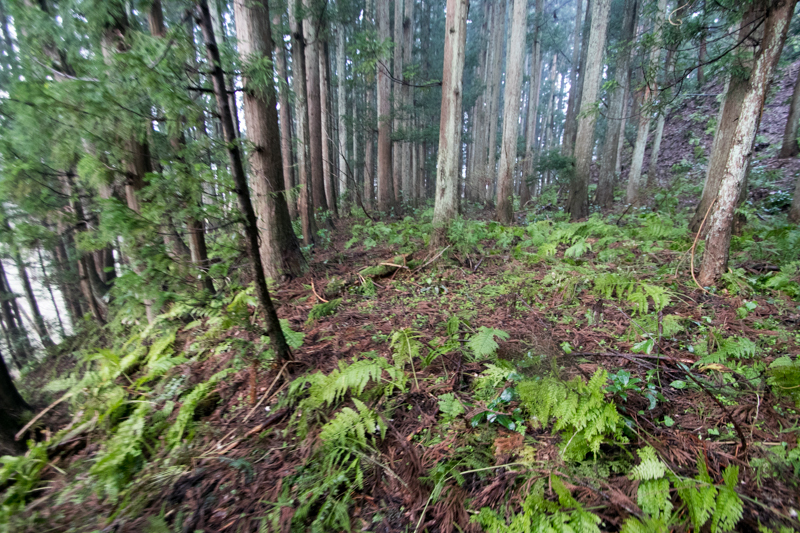 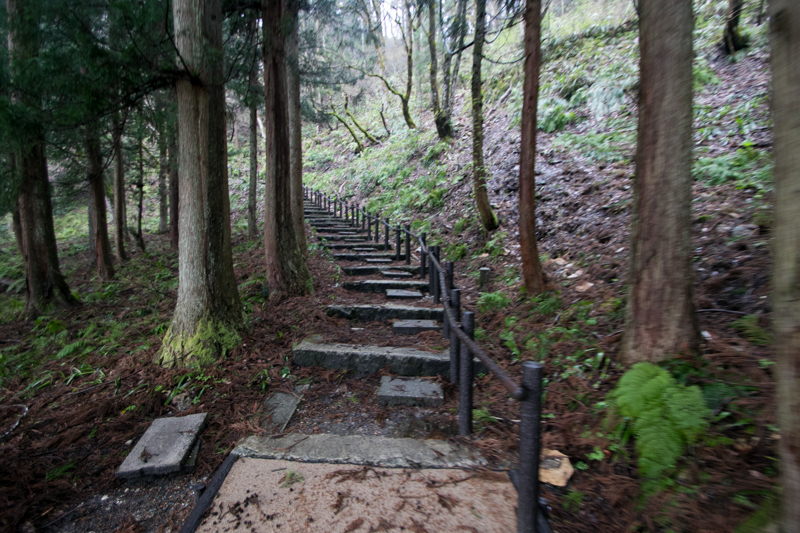 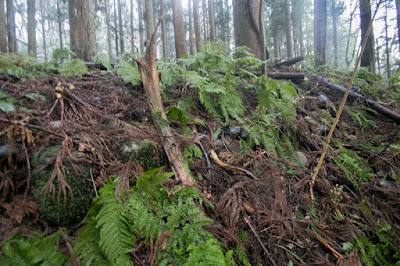 Due to its location, Tsugawa area became the target of struggle between Ashina clan, the warlord of Aizu area and Uesugi clan, the one of Niigata plain. 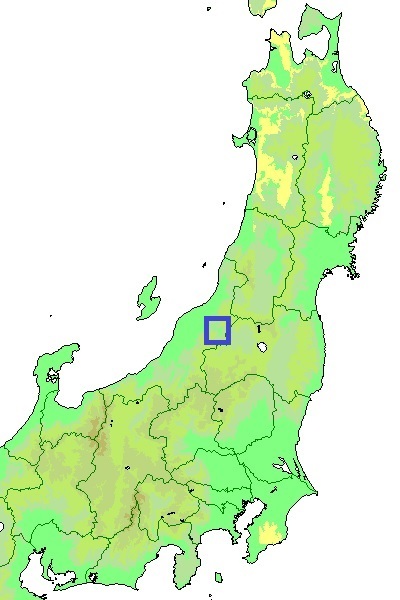 Aga town currently belongs to Niigata prefecture, but this was decided after Meiji revolution and historically had the relationship with Aizu basin (Fukushima prefecture). 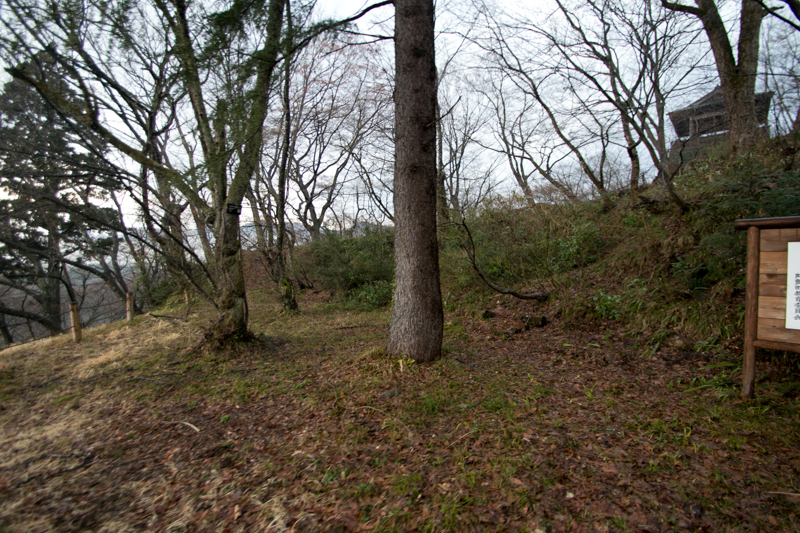 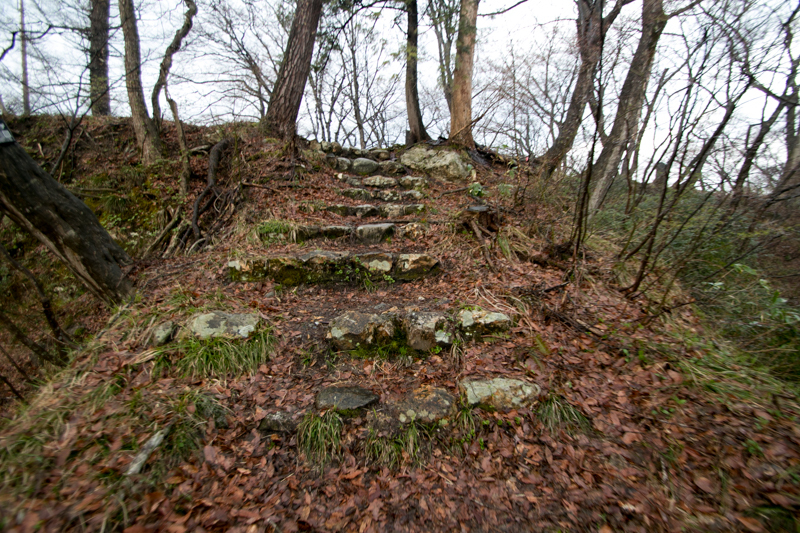 The precise year of building of Tsugawa castle is unknown, but it is said that Ashina clan ordered their branch family Fujikura clan to build a castle at this place in 1252. 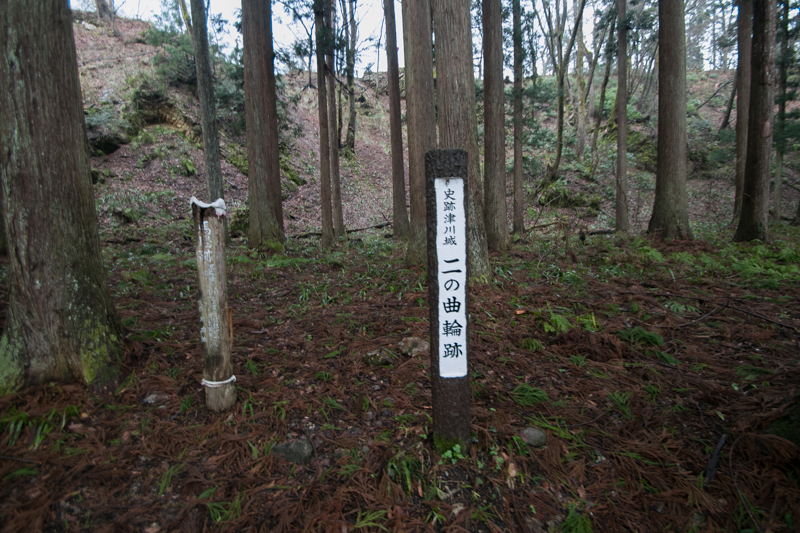 Later Fujikura clan changed their name to Kanagami clan and served to Ashina clan as an important retainer. 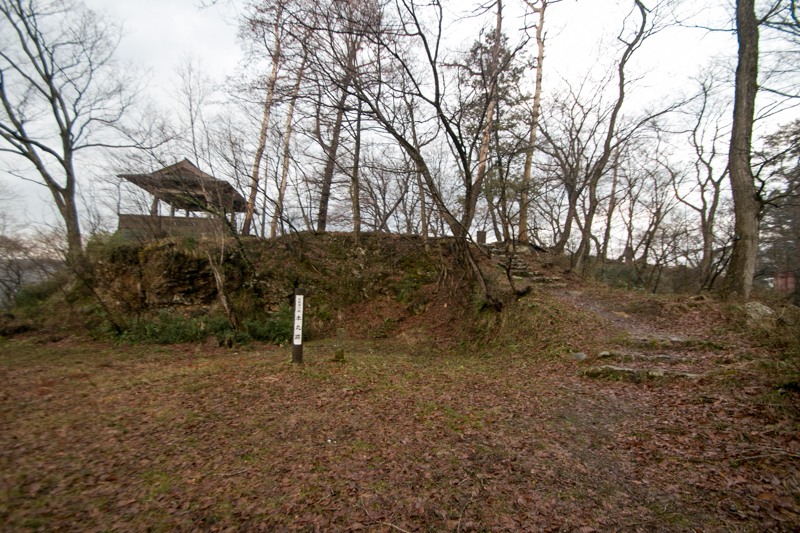 Ashina clan expanded Tsugawa castle as a west gate of Aizu basin against Niigata plain. 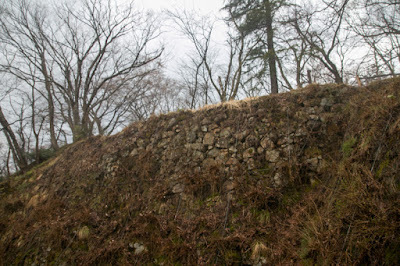 Since the latter half of 15th century, Ashina clan grew into a strong warlord around Aizu area belonging to Date clan, the traditional warlord of Yonezawa castle (Yamagata prefecture). 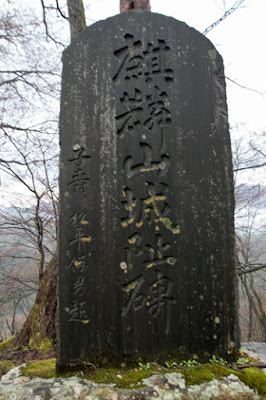 In the middle of 16th century, utilizing internal conflicts of Date clan, Moriuji Ashina (1521-1580) who the leader of Ashina clan stood as an independent power of Aizu basin. 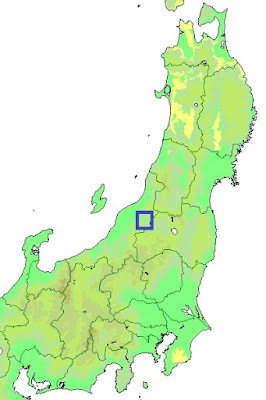 Moriuji Ashina at first united Aizu basin, and aggressively expanded his territory toward east under conflict with Tamura clan or Nikaido clan. Moriharu Kanagami (1527-1589), the commander of Tsugawa castle, supported Moriuji and was praised his talent as a chancellor of Ashina clan. 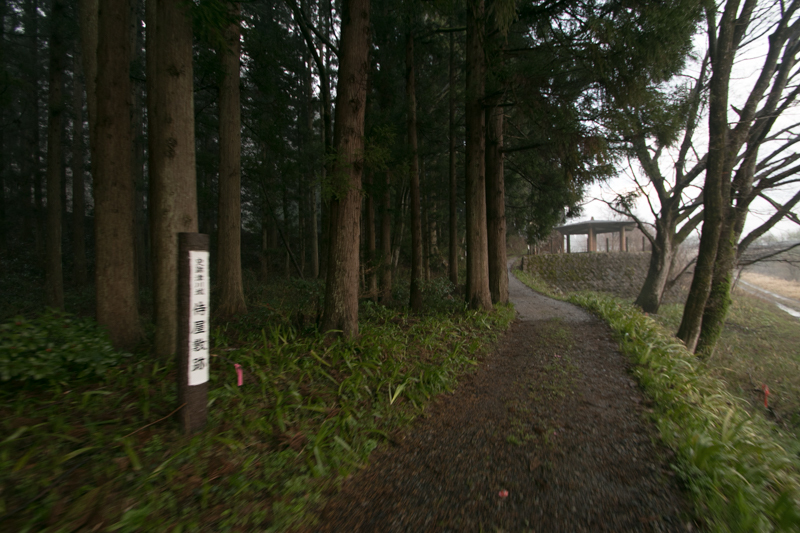 In 1578, Kenshin Uesugi (1530-1578), the strong leader of Uesugi clan died without deciding his successor, and an internal conflict called as “Otate no Ran” occurred between his two adopted son, Kagekatsu Uesugi (1556-1623) and Kagetora Uesugi (1554-1579). 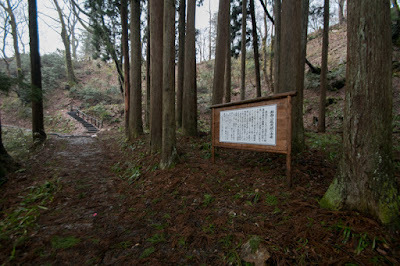 Moriuji at first supported Kagetora, and once Kagetora was defeated by Kagekatsu and died, Ashina clan individually intervened to Echigo province. 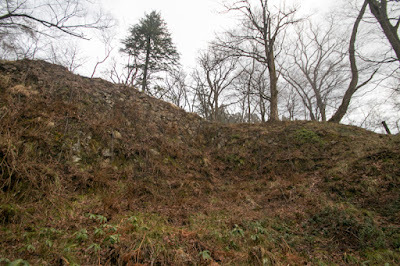 Under the order of Moriuji, Moriharu captured Yasuda castle (Niigata prefecture), and also supported Shigeie Shibata (1547-1587), the commander of Shibata castle and who revolted to Kagekatsu Uesugi after the cease of internal conflict. However, after the death of Moriuji died, Ashina clan rapidly lost power because of too aggressive military actions of Moriuji and internal conflicts. 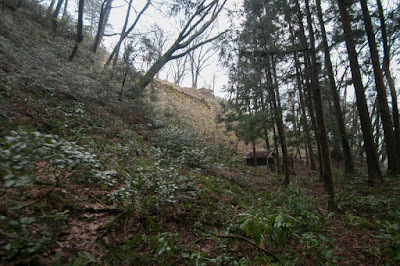 Moriharu struggled to keep weakened Ashina clan, then visited Kyoto city to make connection with central ruler Nobunaga Oda (1534-1582) for Ashina clan. 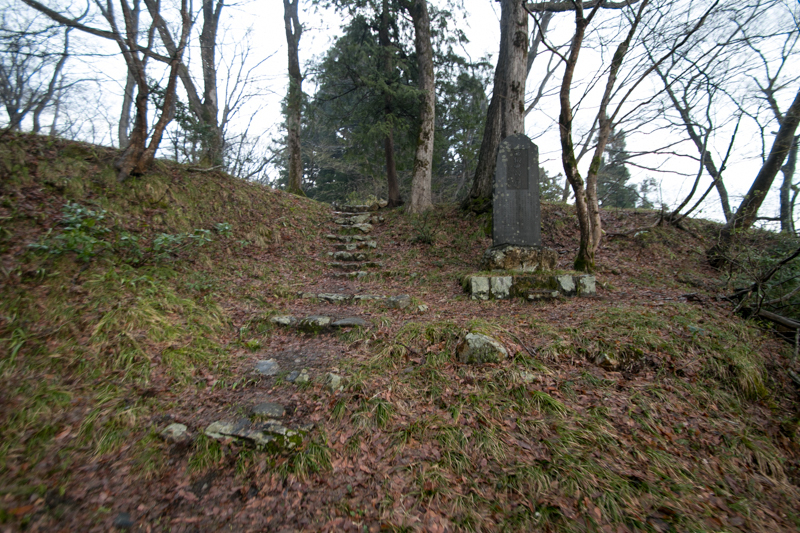 In 1584, Moritaka Ashina (1561-1584), the successor of Moriuji, was assassinated by his retainer. 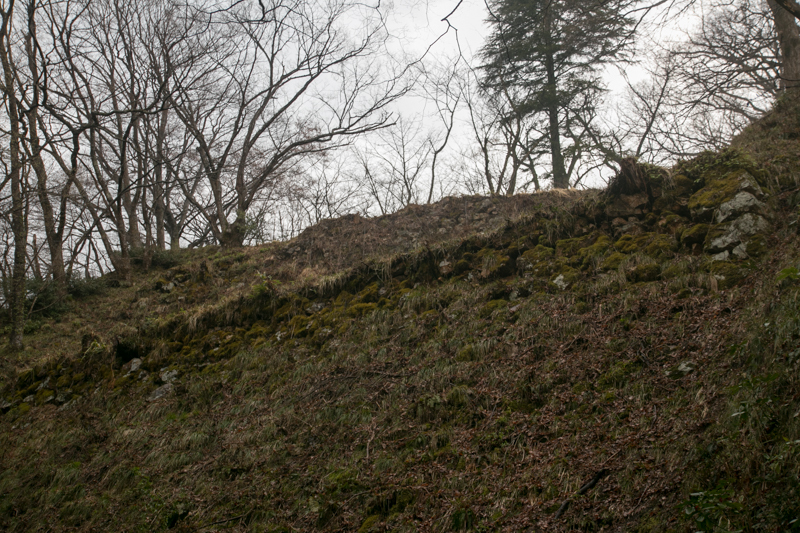 At the same time, under Masamune Date (1567-1636), Date clan recovered their power and started to assault surrounding lords fiercely. 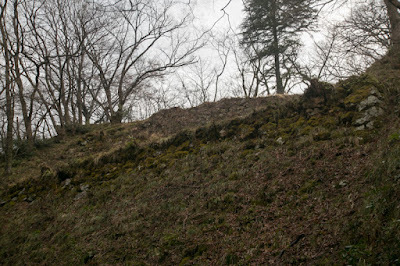 Under the pressure from Date clan, Moriharu let Ashina clan to adopt next leader from Satake clan, the rival of Date clan. However this adoption raised further conflict, and finally in 1589 Ashina clan suffered a fatal defeat against Masamune Date (1567-1636) at the battle of Suriagehara. 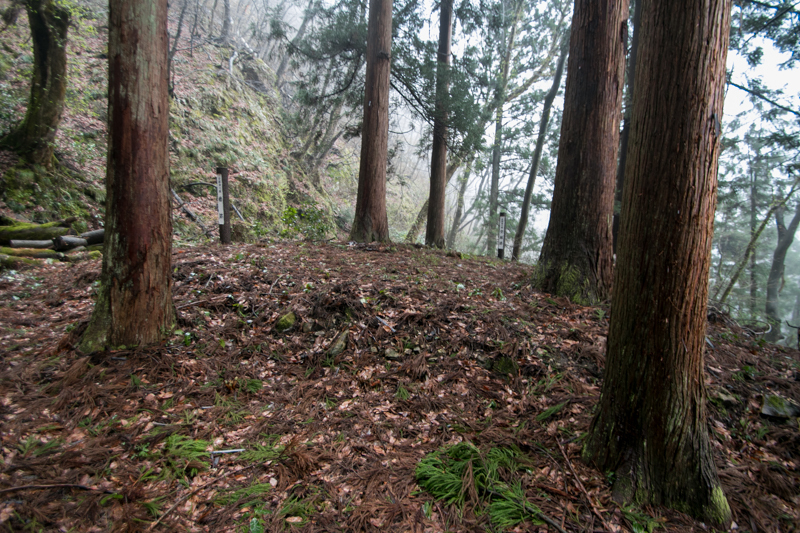 Moriharu Kanagami bravely fought at this battle then finally charged to overwhelming Date army and died. 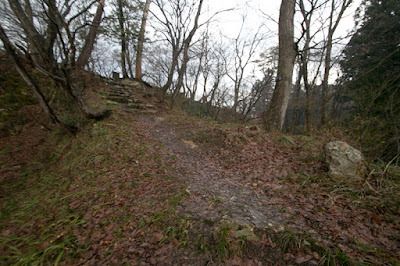 By this defeat Ashina clan once the ruler of Aizu basin disappeared from the history. 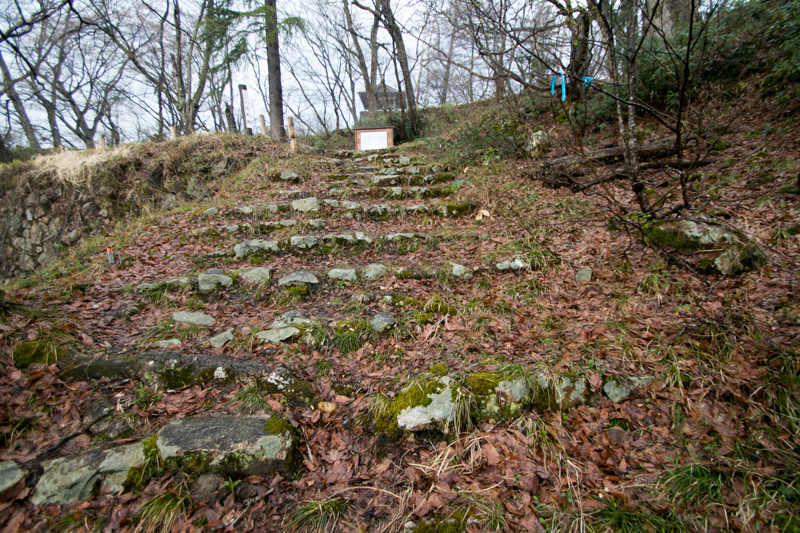 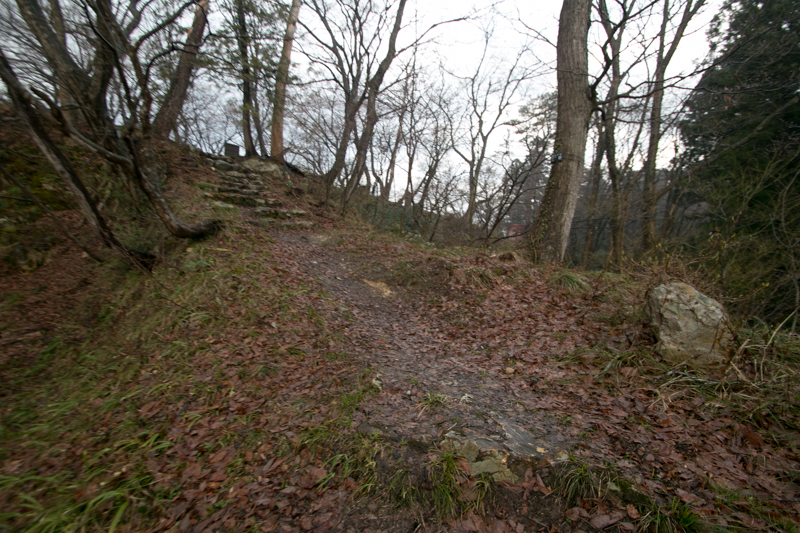 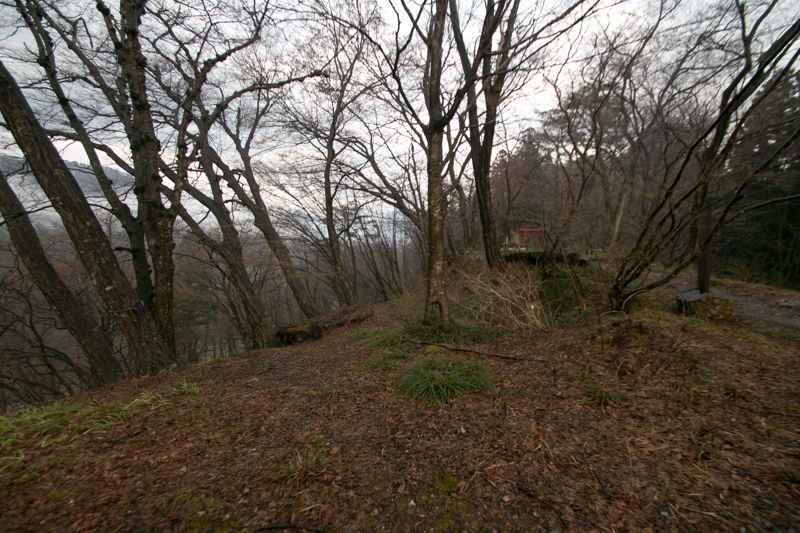 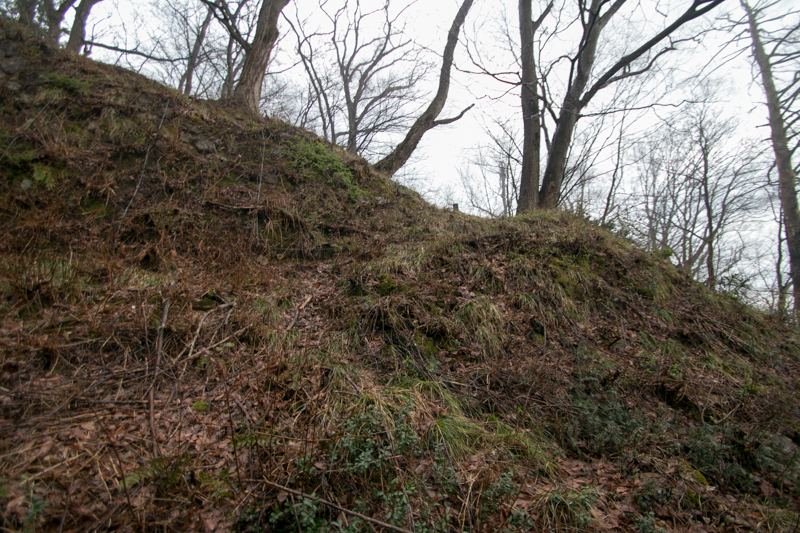 Along with the extinction of Ashina clan, Tsugawa castle was once captured by Date clan. 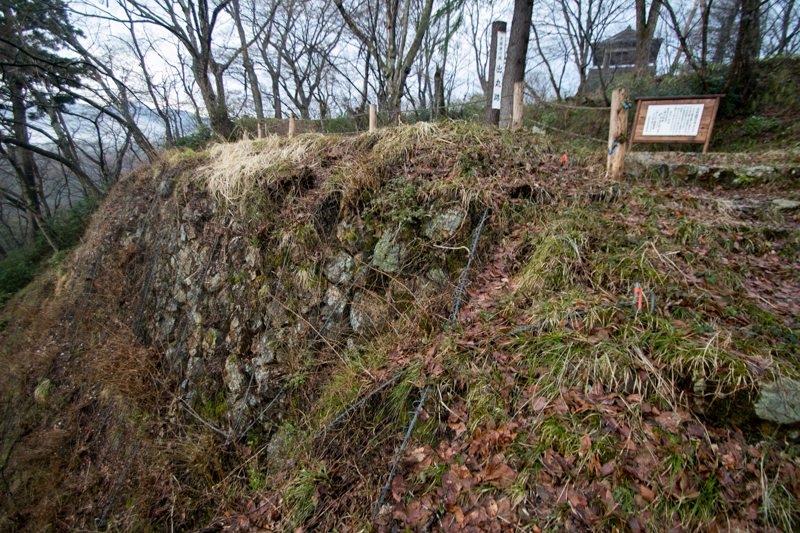 But due to the order of central ruler Hideyoshi Toyotomi, Masamune lost Aizu basin and was transferred to current Sendai area in 1591. 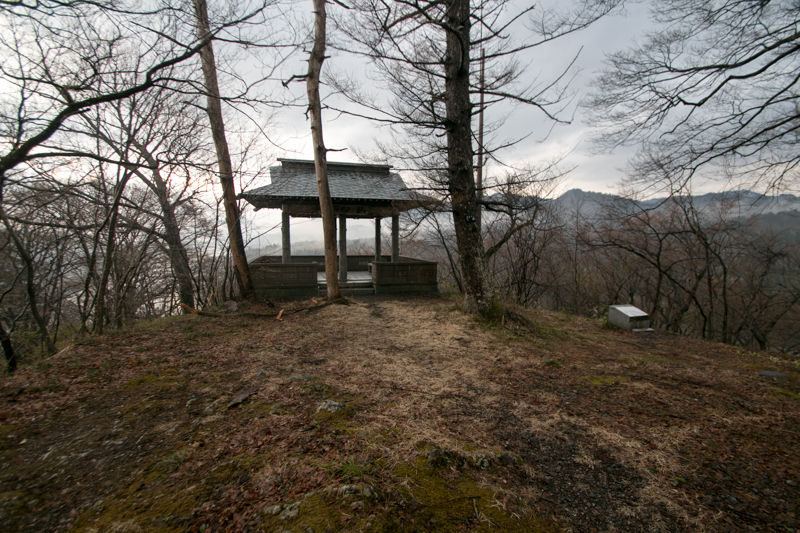 Hideyoshi placed his confident general Ujisato Gamo (1556-1595) as the lord of Aizu basin, for the purpose of pressure to other lords in Tohoku region. 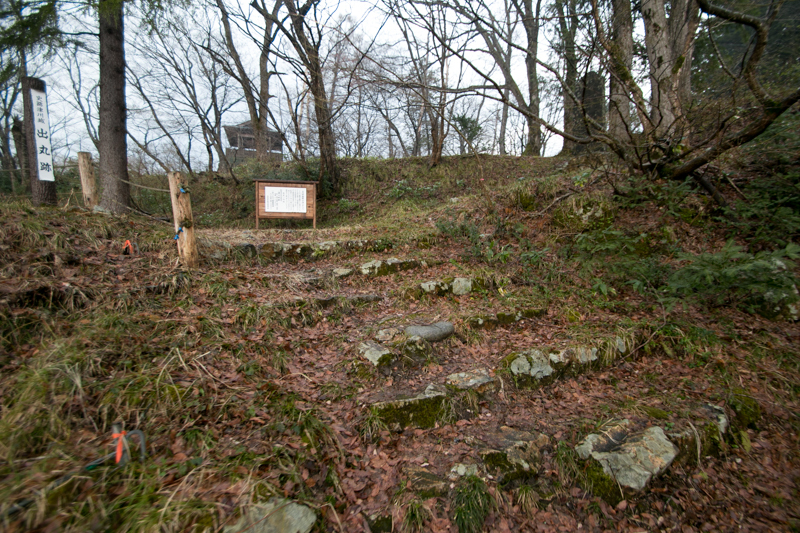 Ujisato Gamo expanded Aizu Wakamatsu castle and lived there, but his vast territory was separated by many mountains and prompt maneuver of army was difficult. 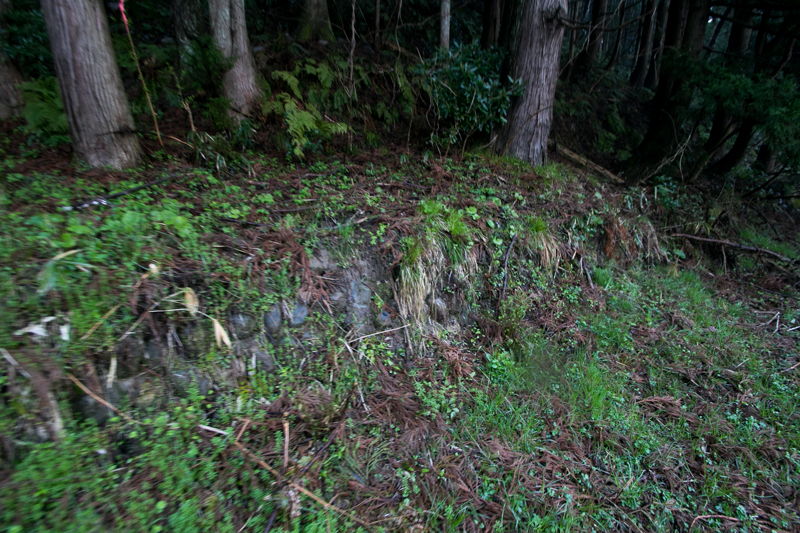 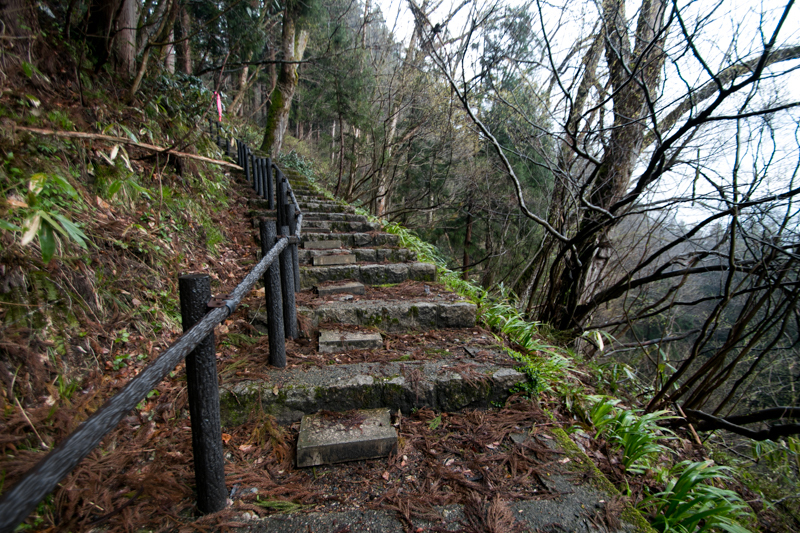 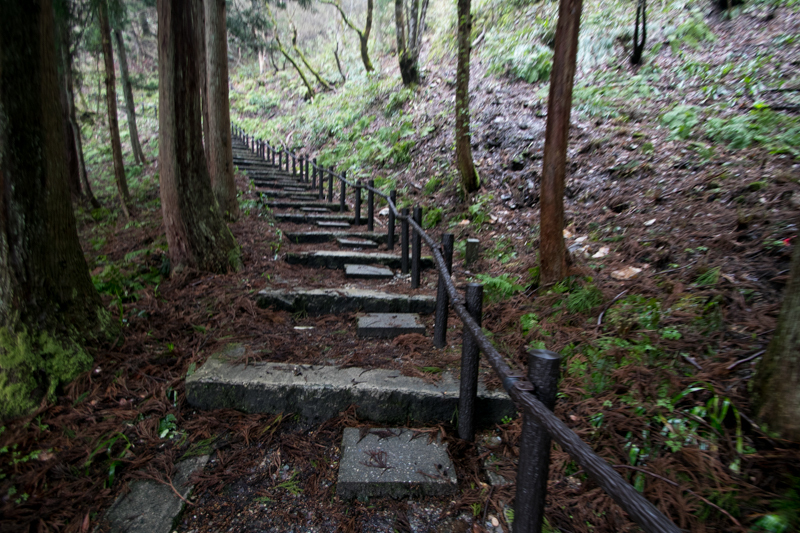 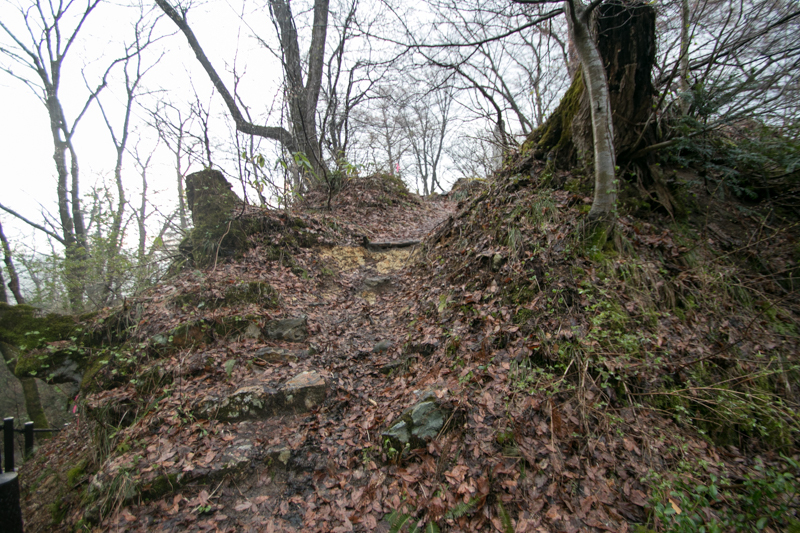 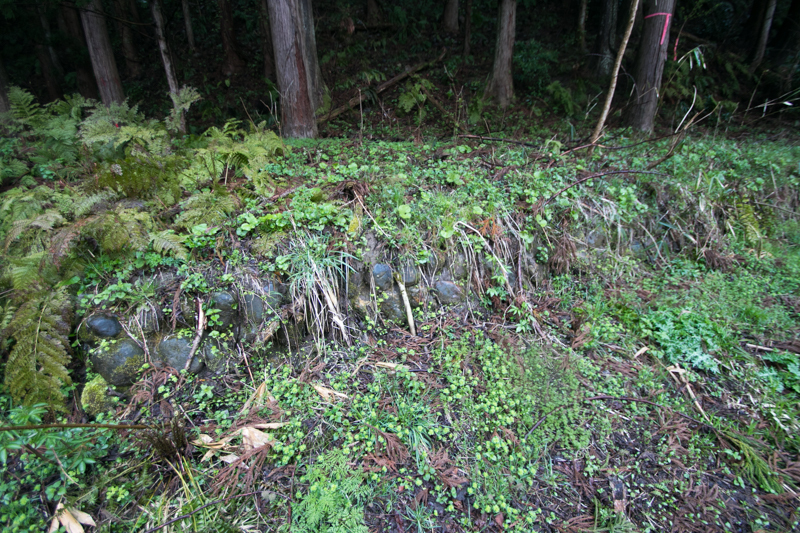 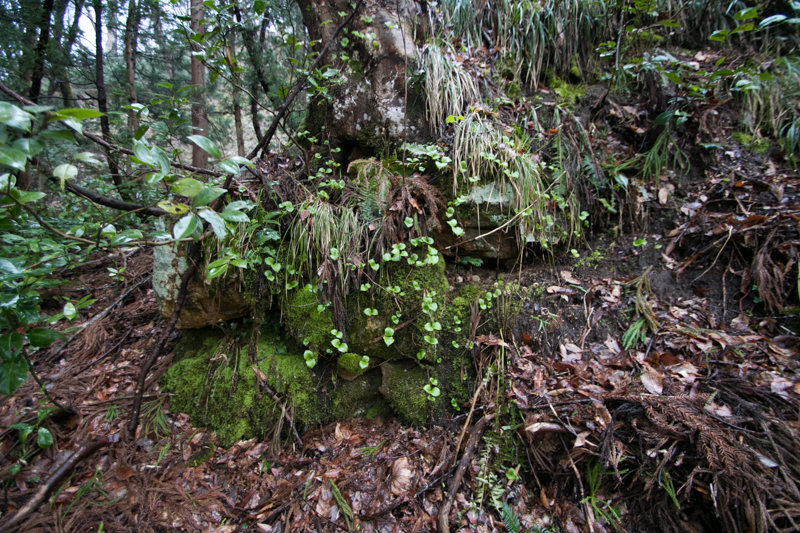 Thus to cope with other lords and internal rebellion, Ujisato strengthened many castles such as Nihonmatsu castle or Inawashiro castle by advanced technology such as stone walls, to stand the base until the arrival of reinforcement in case. 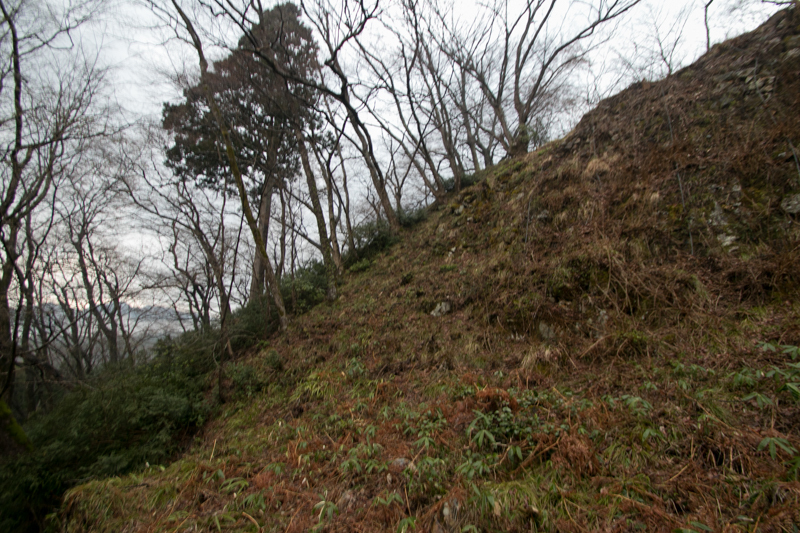 Tsugawa castle is thought to be reformed at this time by Gamo clan. 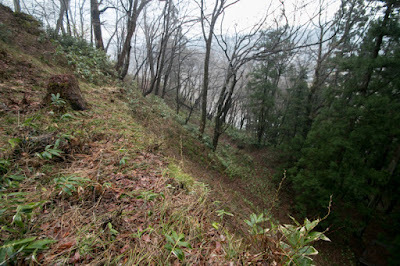 The place of this castle is a long and narrow ridge of Kirinzan mountain, like a peninsula at the merging point of Aganogawa river and its tributary Tokonamigawa river. 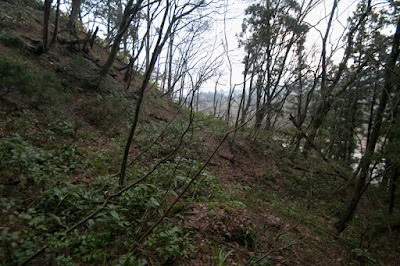 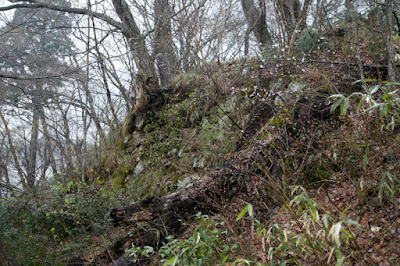 Backside of the castle is connected with the main peak of Kinrinzan mountain, but this mountain is so steep that it is said even foxes avoid to climb, thus it is virtually impossible to attack this castle from this side. 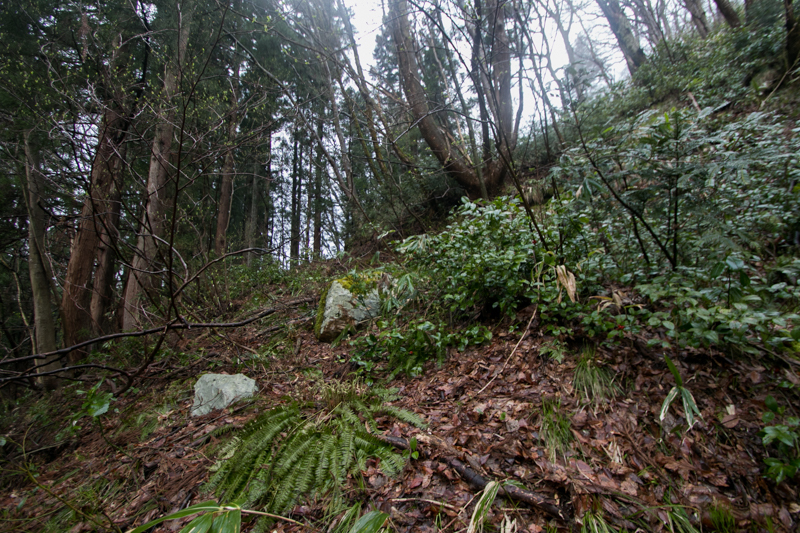 The central area of the castle is located at a small space at the edge of the hill, and there are several terraces at the halfway of the hill under the central area. 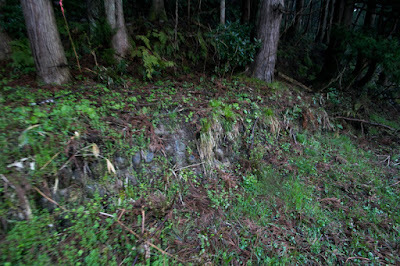 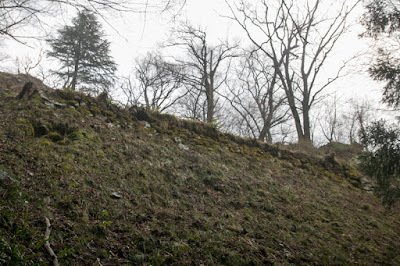 Formerly the walls of these terraces were covered by stone walls, and two layer of stone walls guarded southern slope of the hill still well remain. 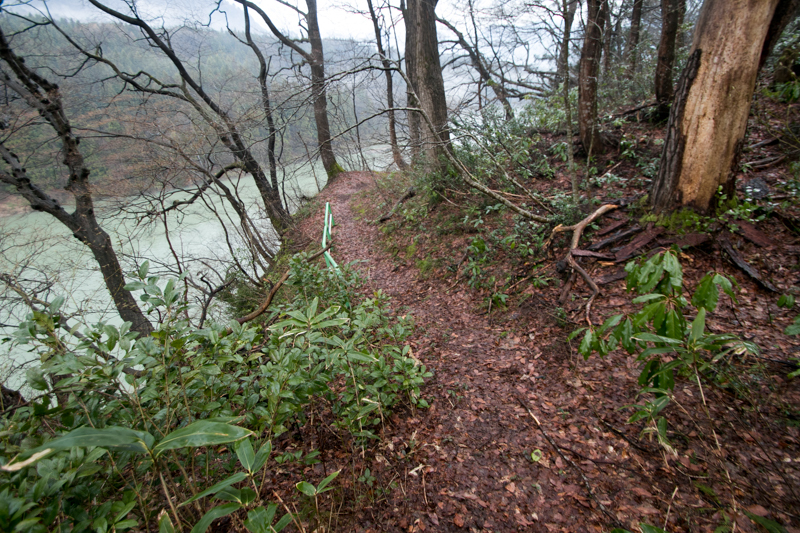 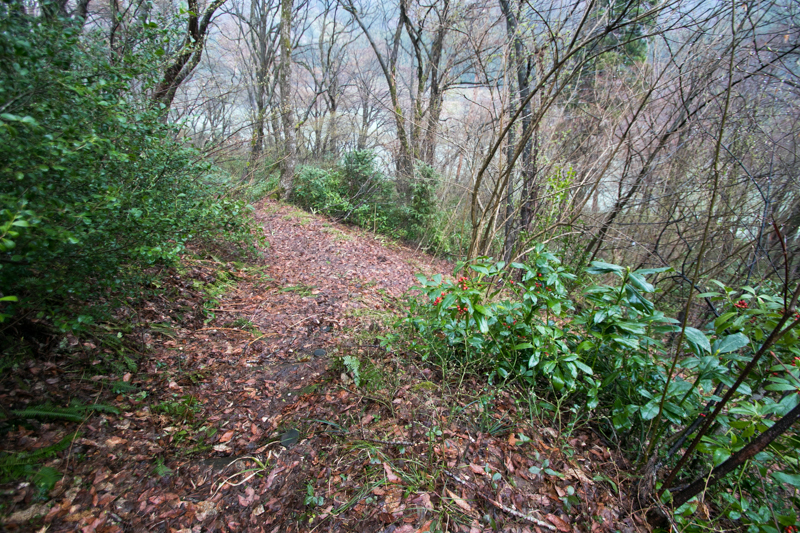 Main route from outer area comes along the river to right under the castle, and steep and winding steps is connected to the main part of the castle. 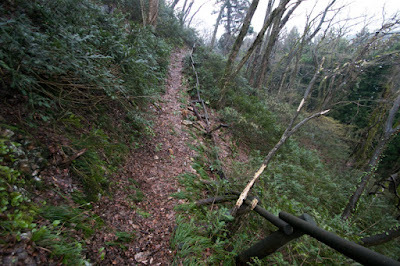 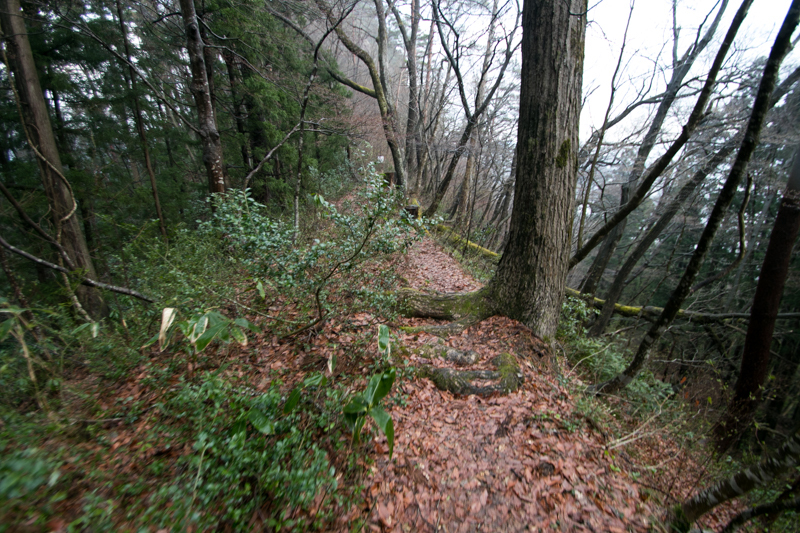 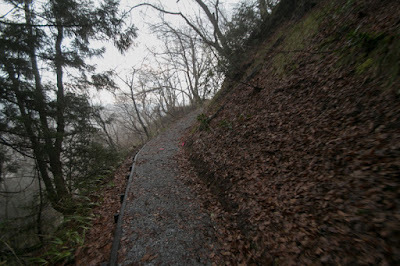 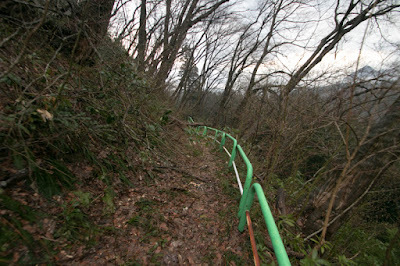 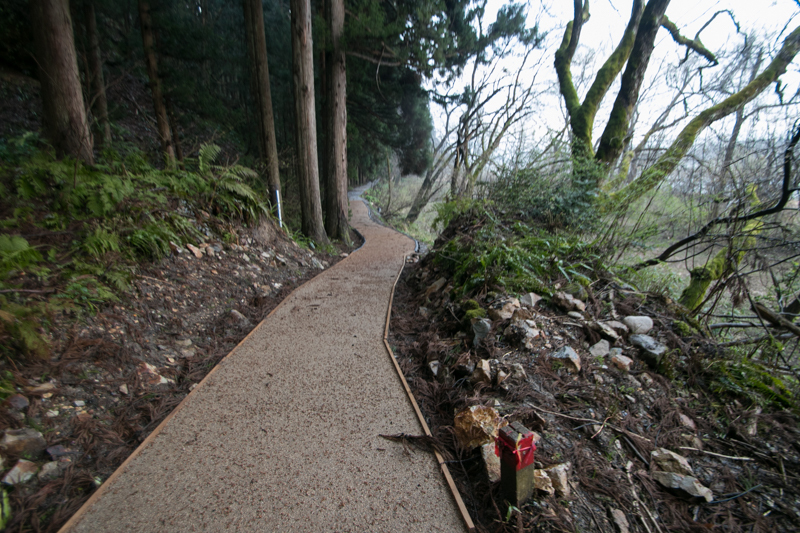 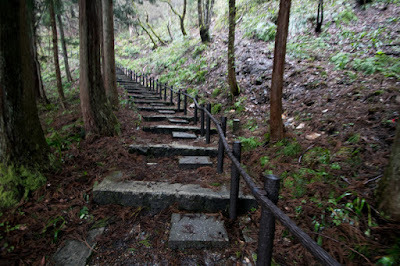 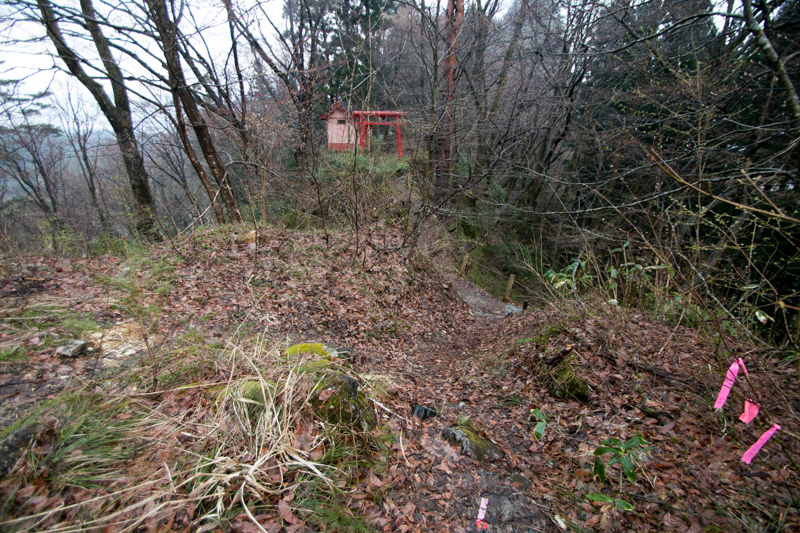 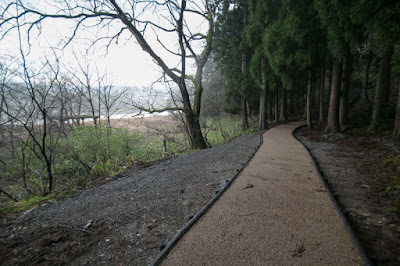 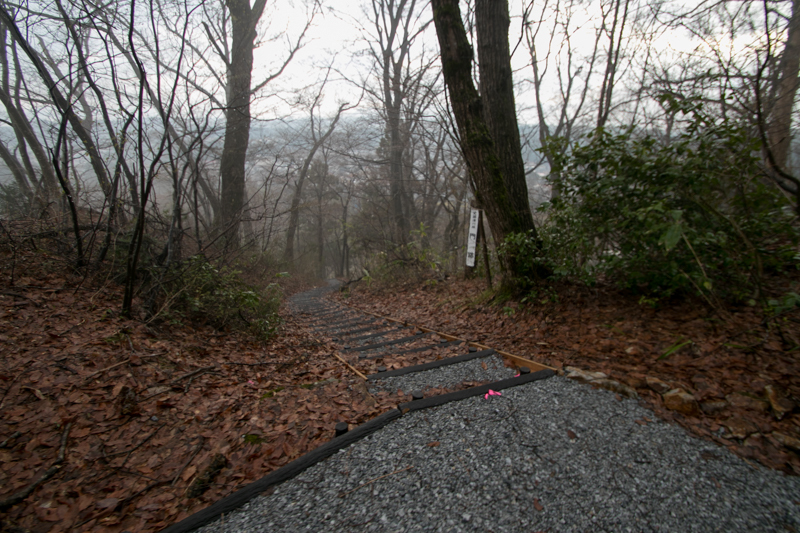 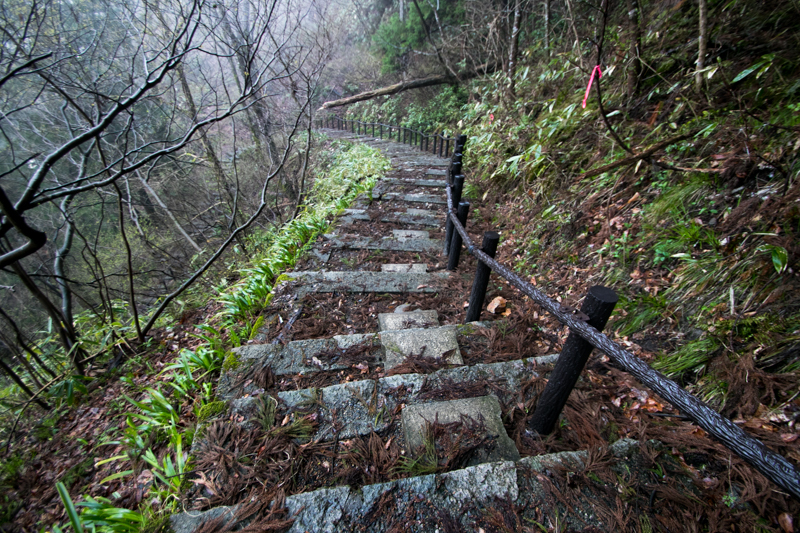 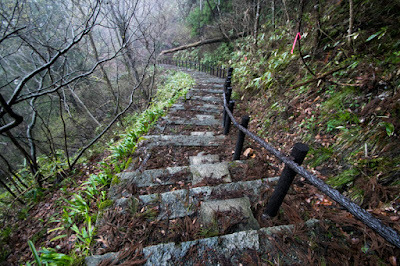 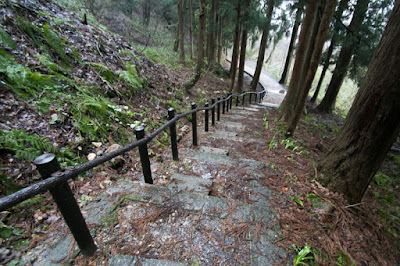 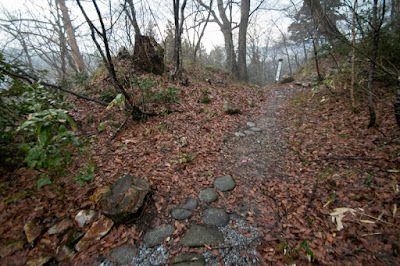 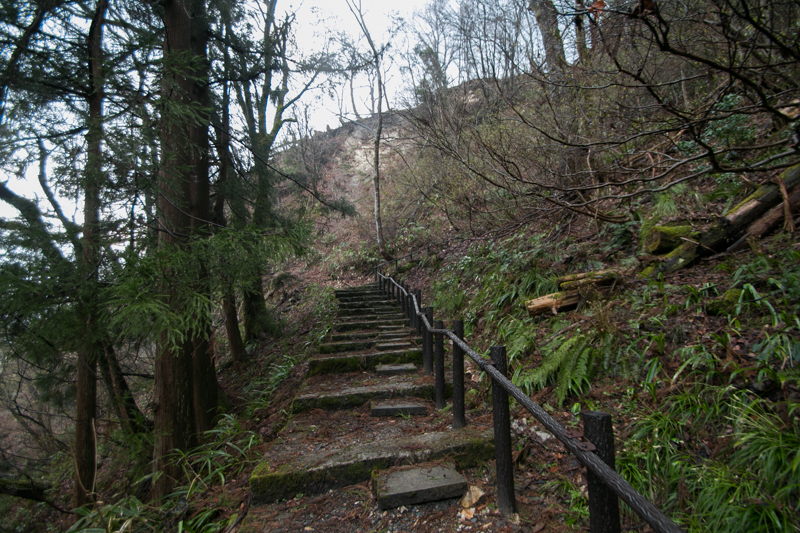 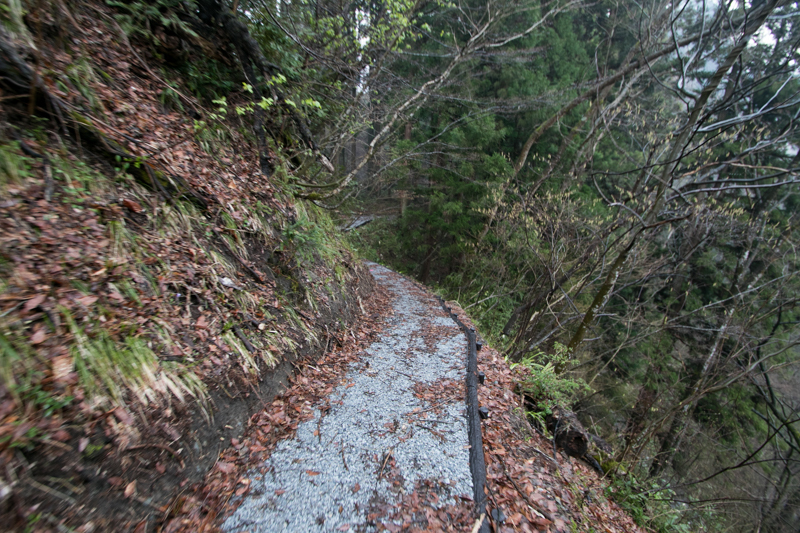 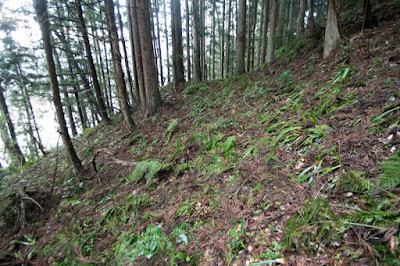 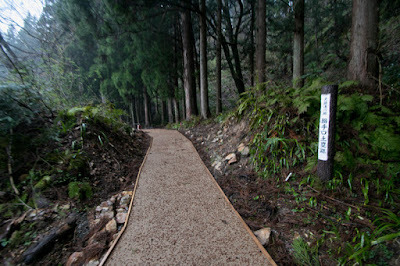 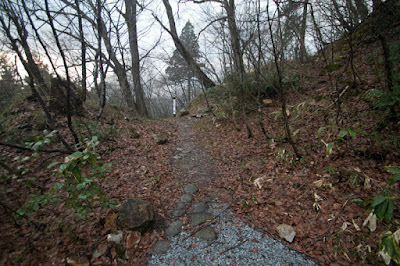 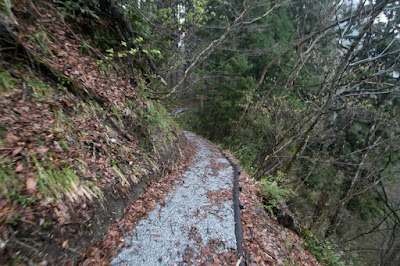 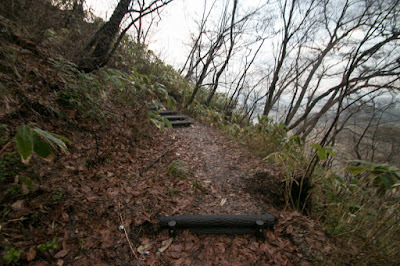 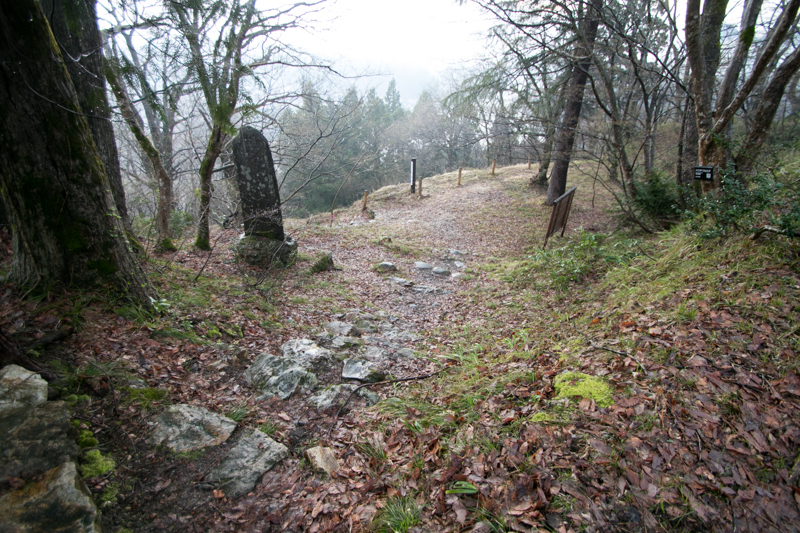 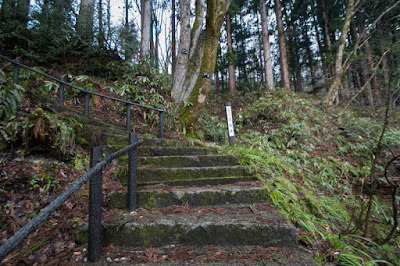 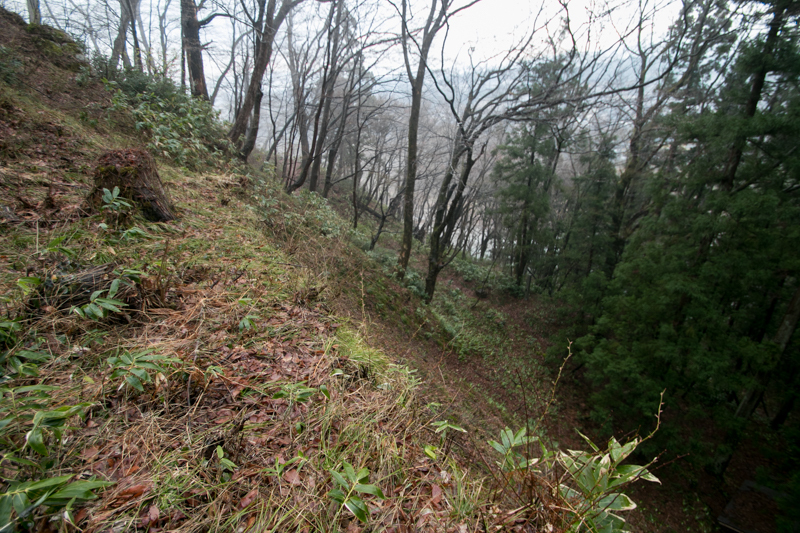 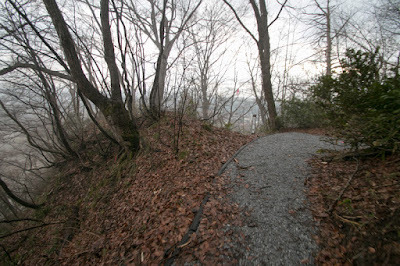 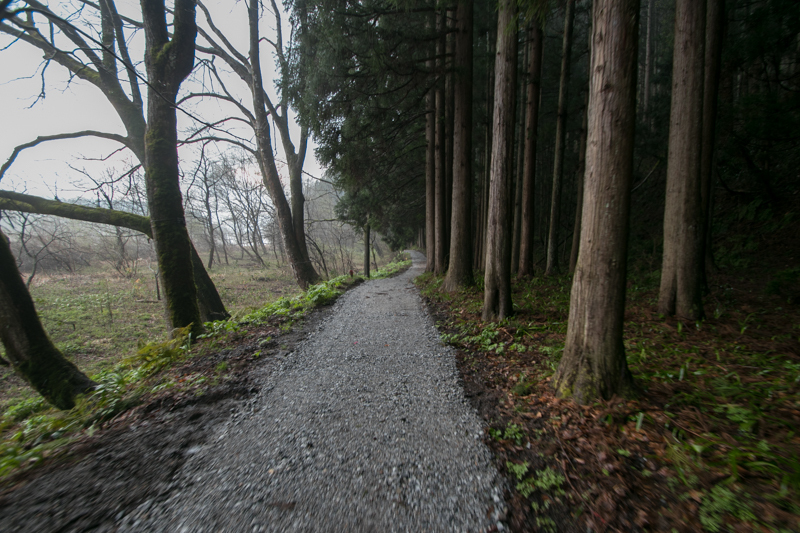 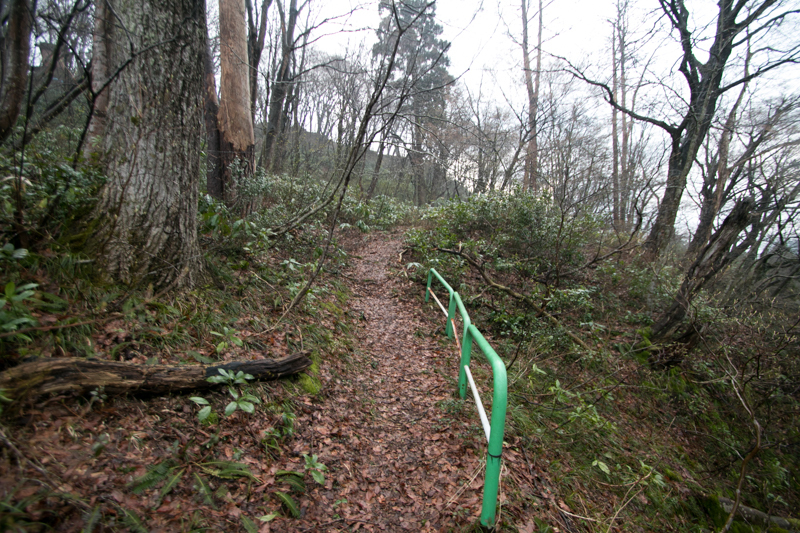 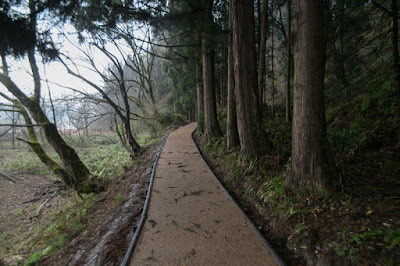 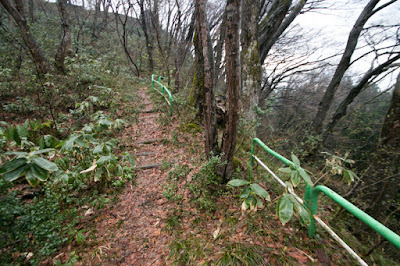 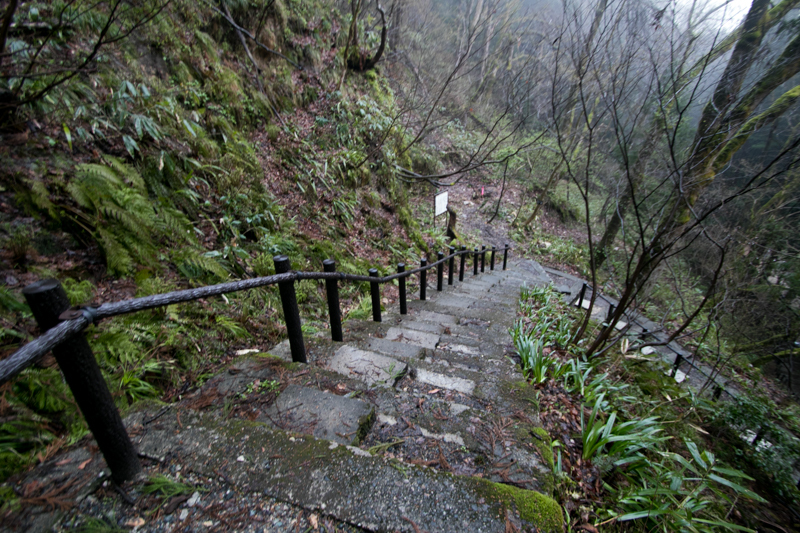 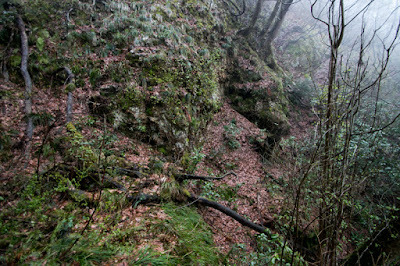 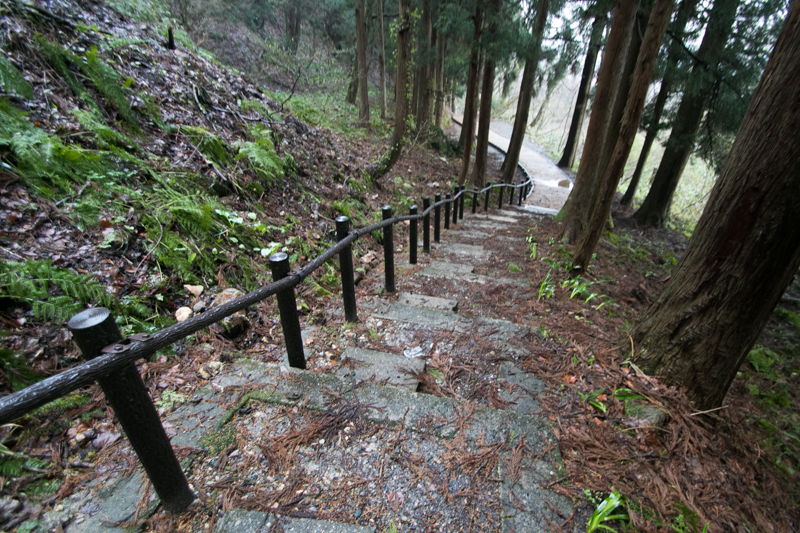 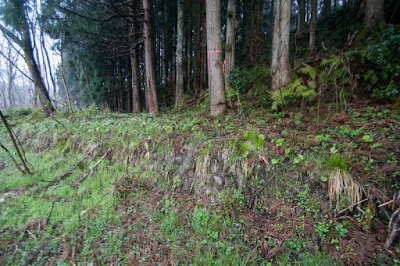 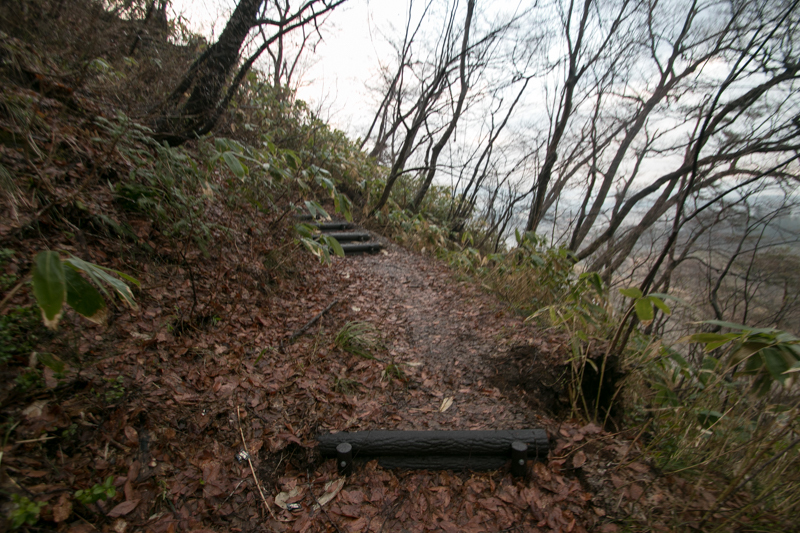 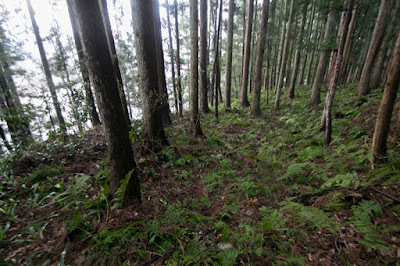 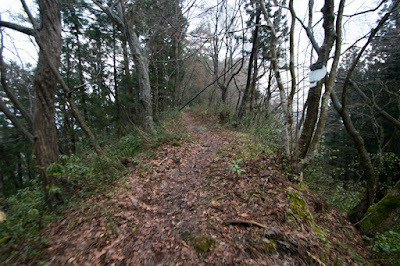 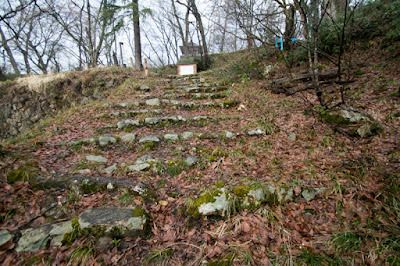 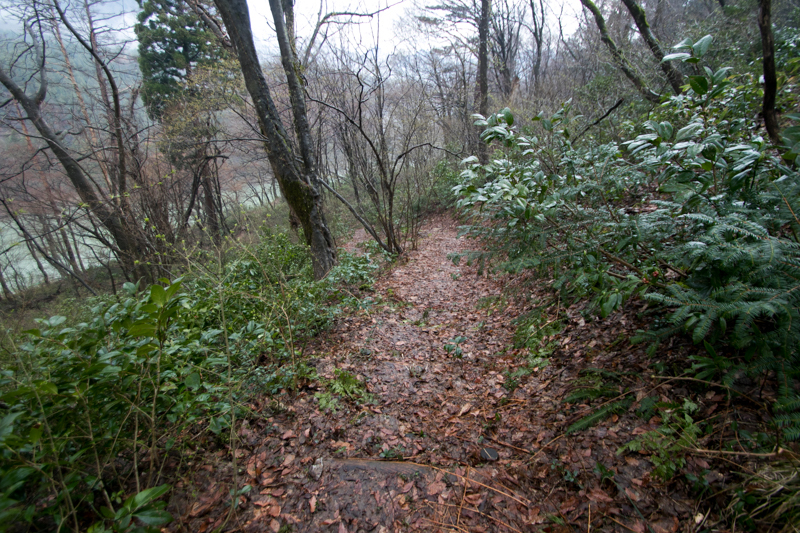 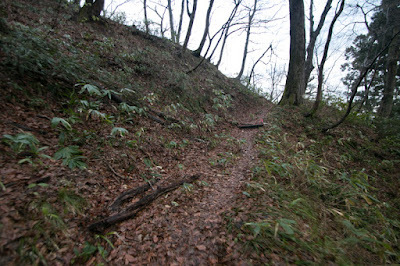 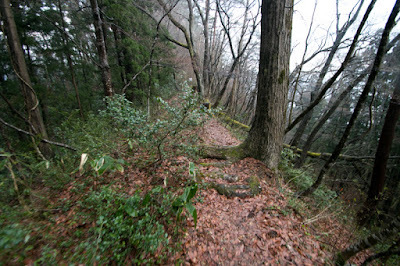 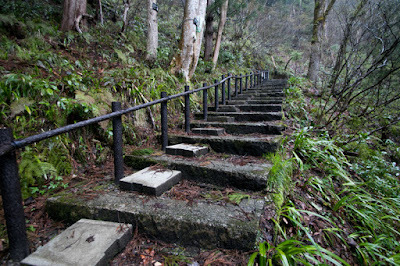 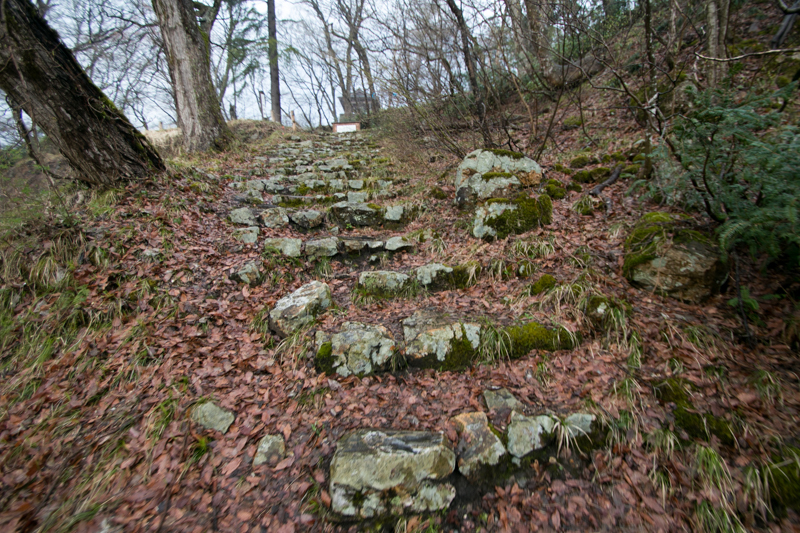 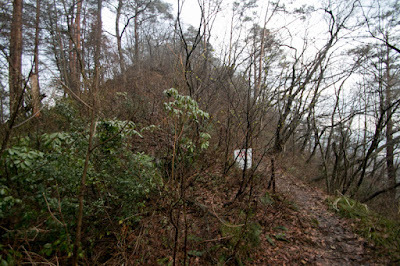 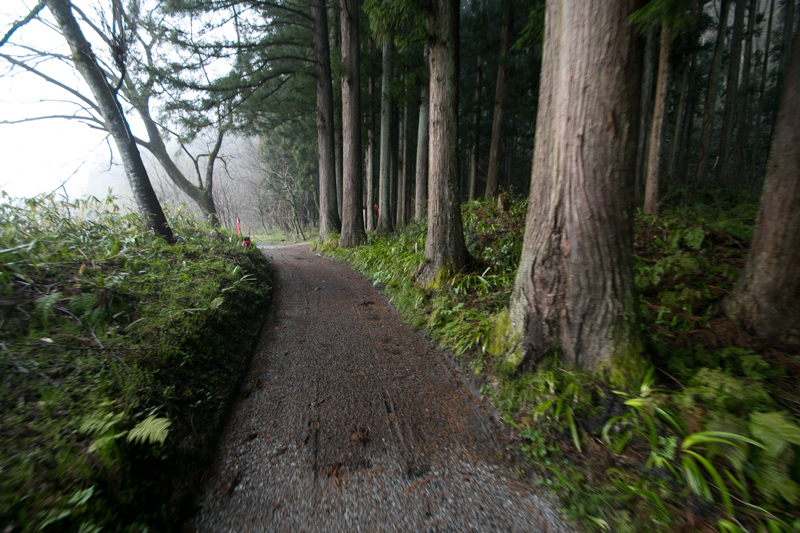 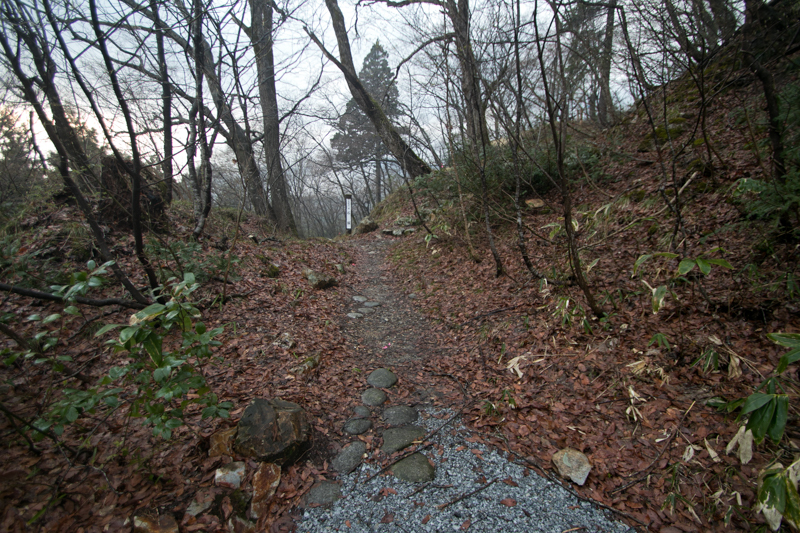 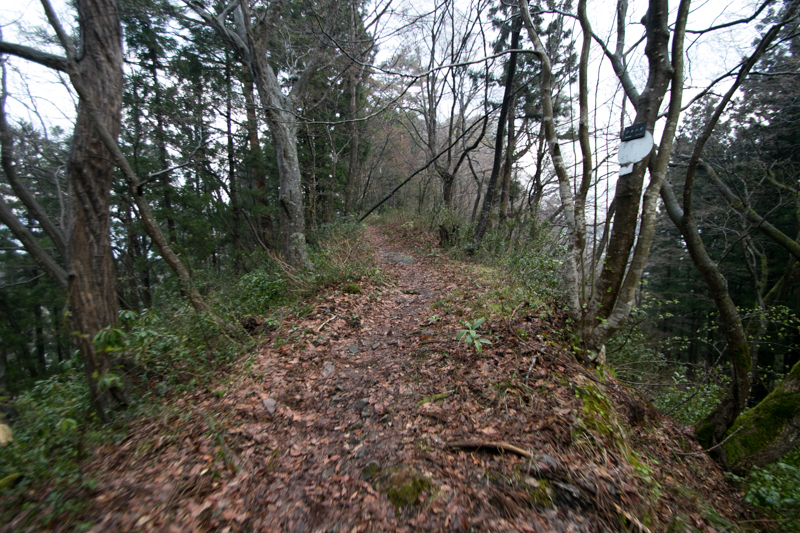 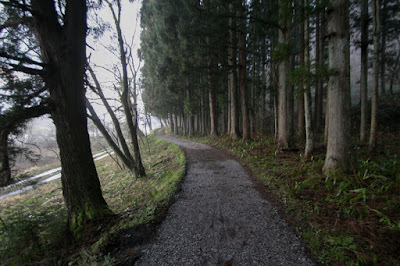 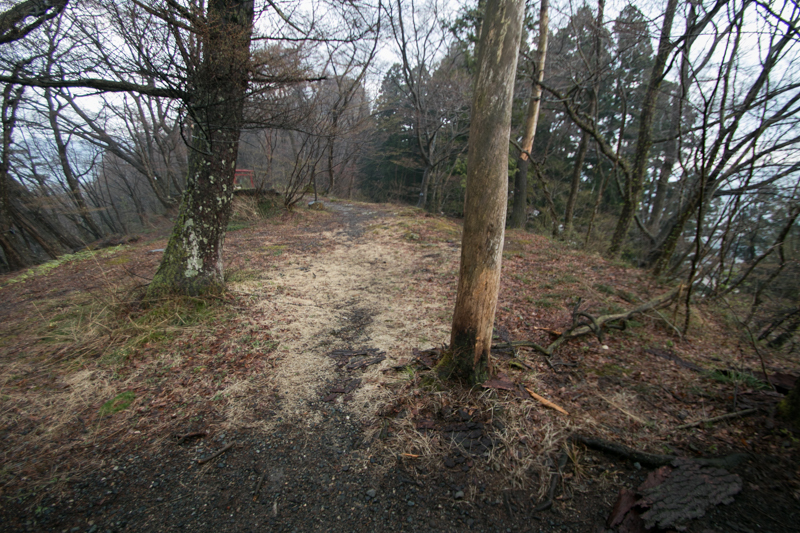 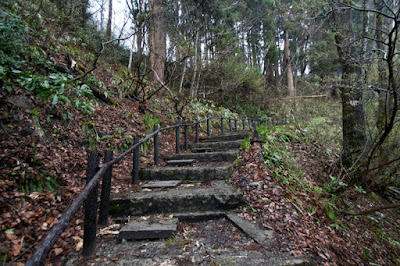 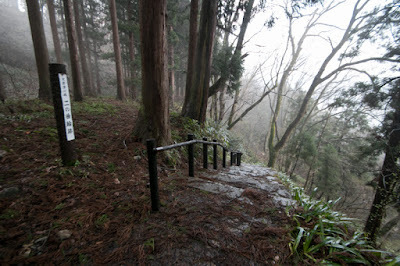 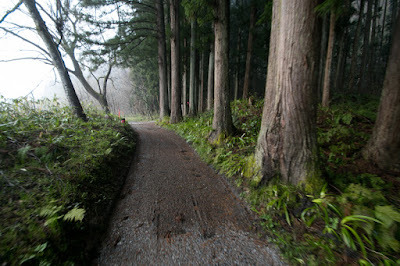 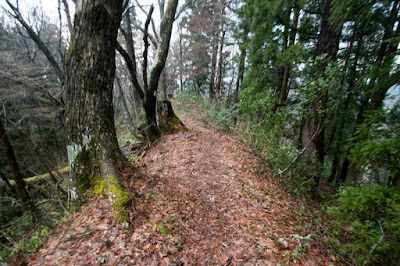 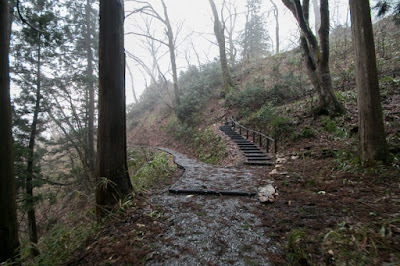 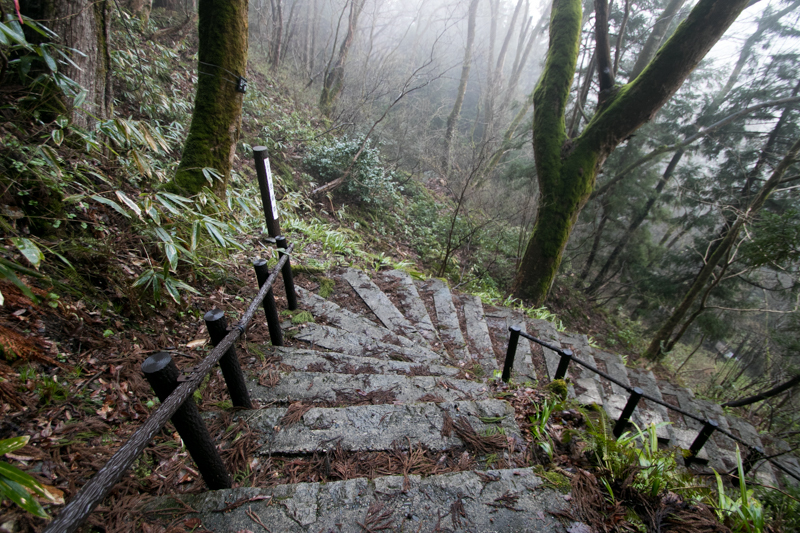 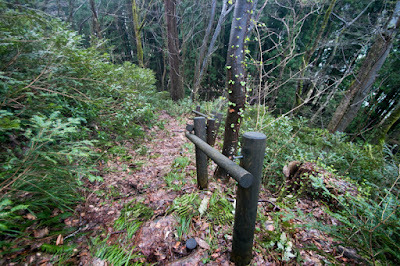 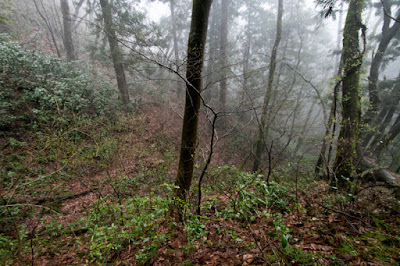 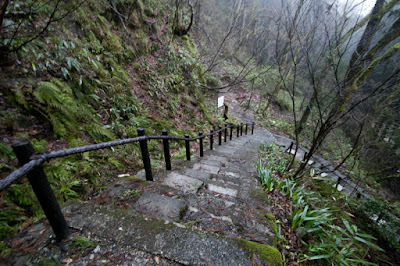 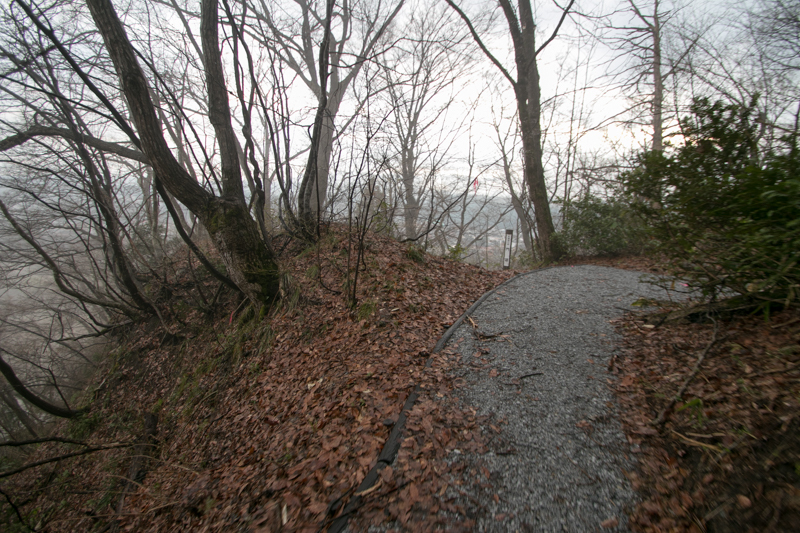 Other than this route, there was another path directly climb up from river side terrace. 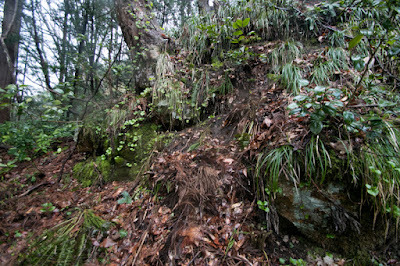 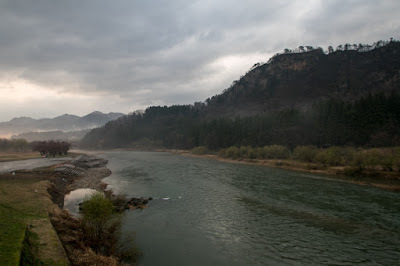 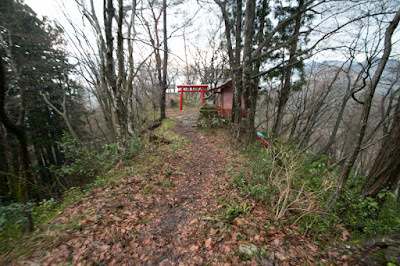 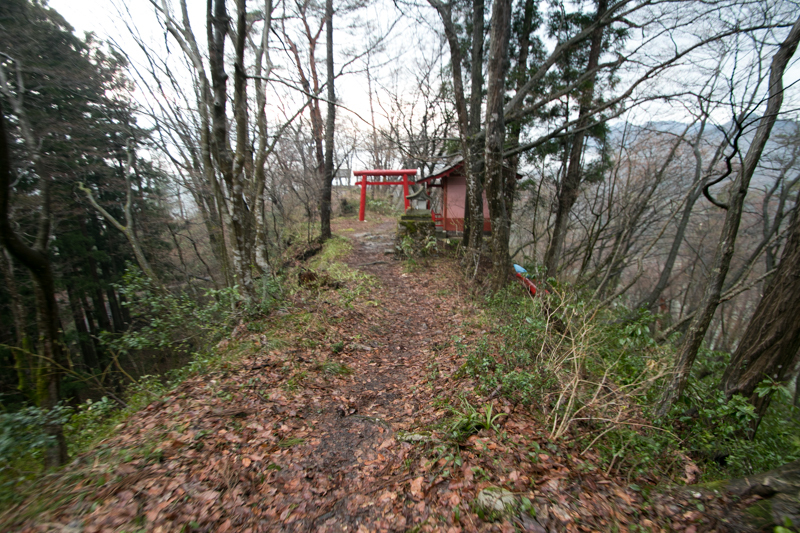 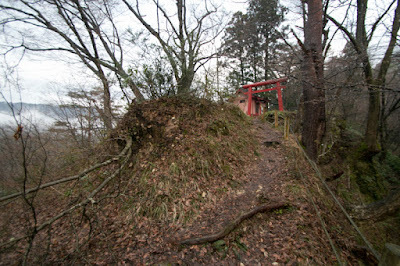 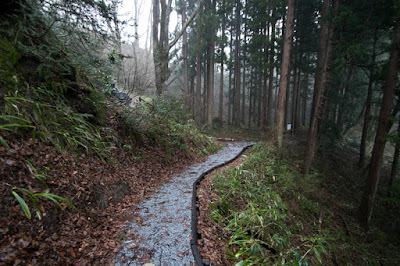 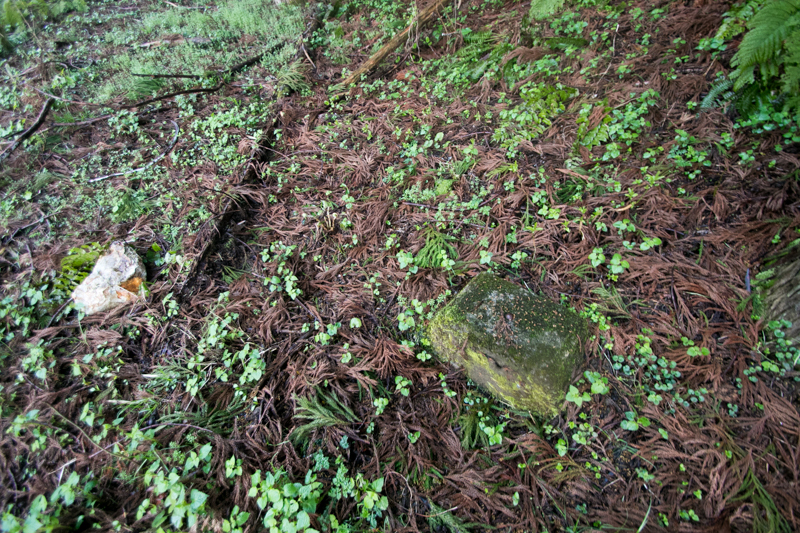 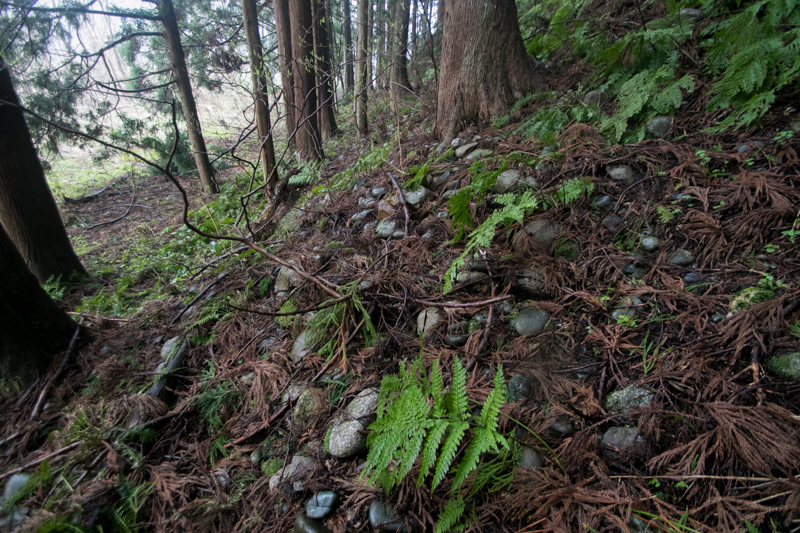 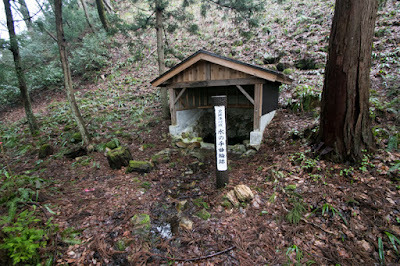 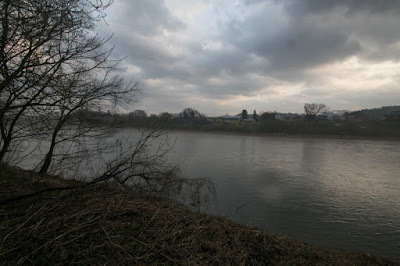 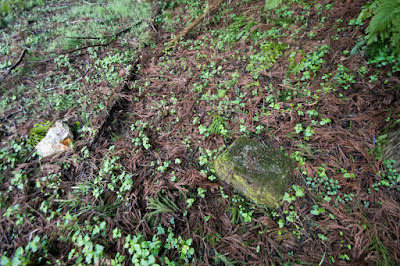 At the riverbed there are places used for residence of lord and retainers. 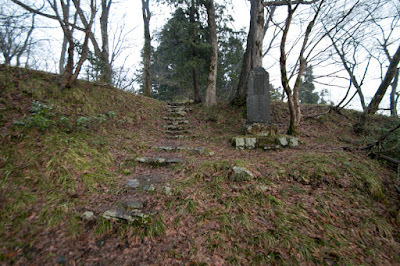 After the death of Ujisato Gamo, Hideyoshi moved Gamo clan to Utsunomiya castle and placed Kagekasu Uesugi as a lord of Aizu region. 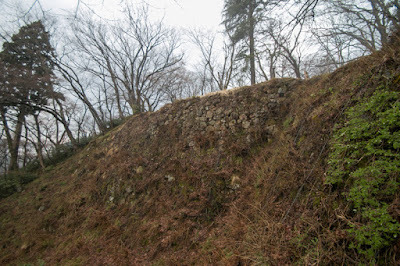 Kagekatsu appointed his general Nobuyoshi Fujita (1559-1616) as a commander of this castle, but Nobuyoshi became estranged with Kanetsugu Naoe (1560-1619), the chancellor of Kagekatsu. 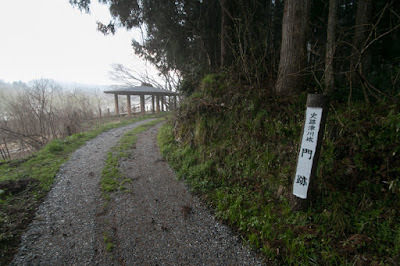 In 1600 Nobuyoshi left Uesugi clan and exiled to Tokugawa clan. At the same year Uesugi clan lost Aizu region as a result of the battle of Sekigahara, and Gamo clan returned to Aizu region. 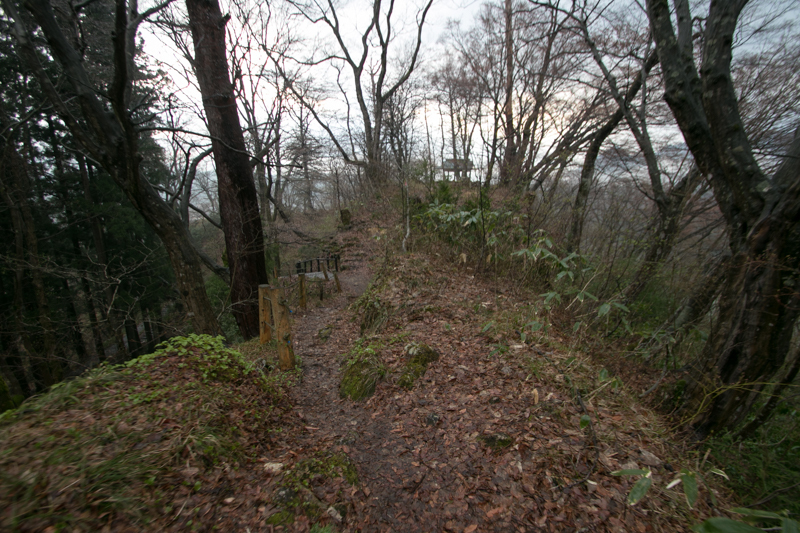 Gamo clan kept Tsugawa castle as a branch castle, but finally abolished it based on Ikkoku Ichijyo rei (one domain one castle rule) in 1627. After the abolition of Tsugawa castle, Tsugawa town continued to prosper as one of the three major river port of Japan. 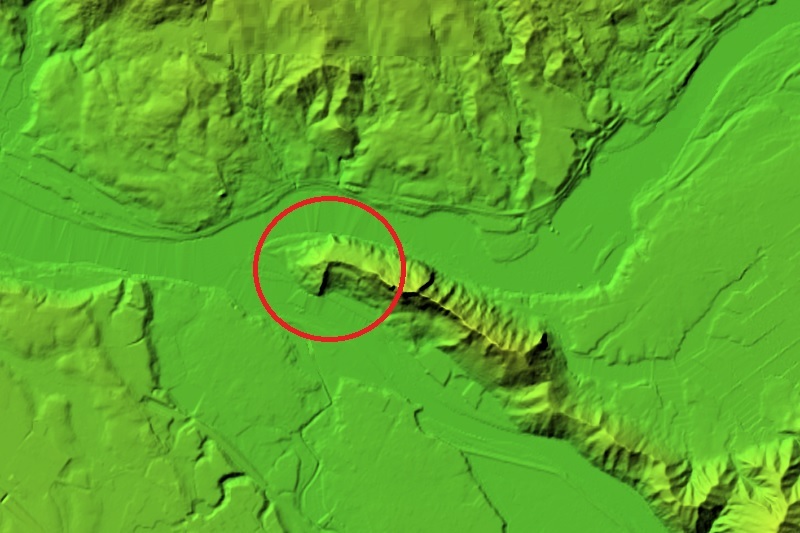 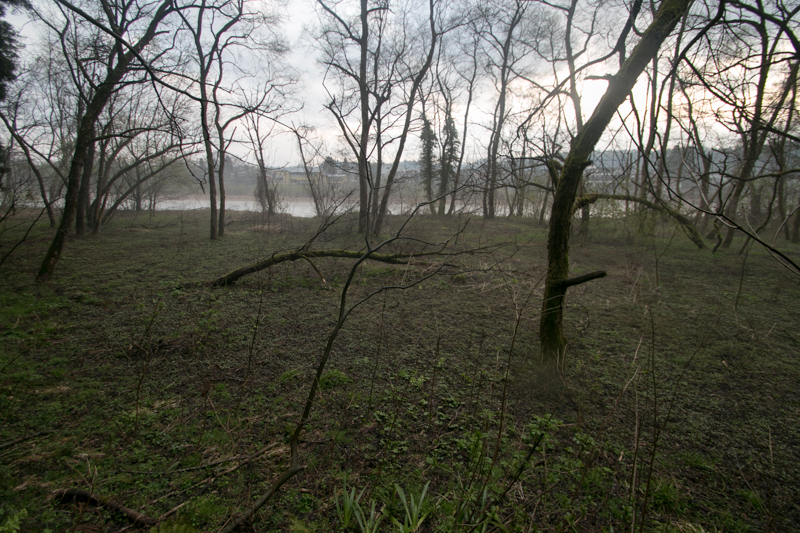 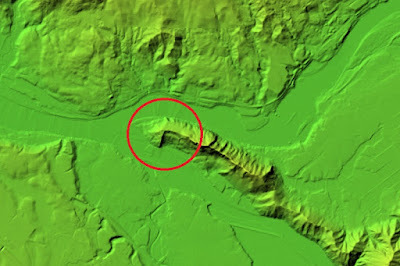 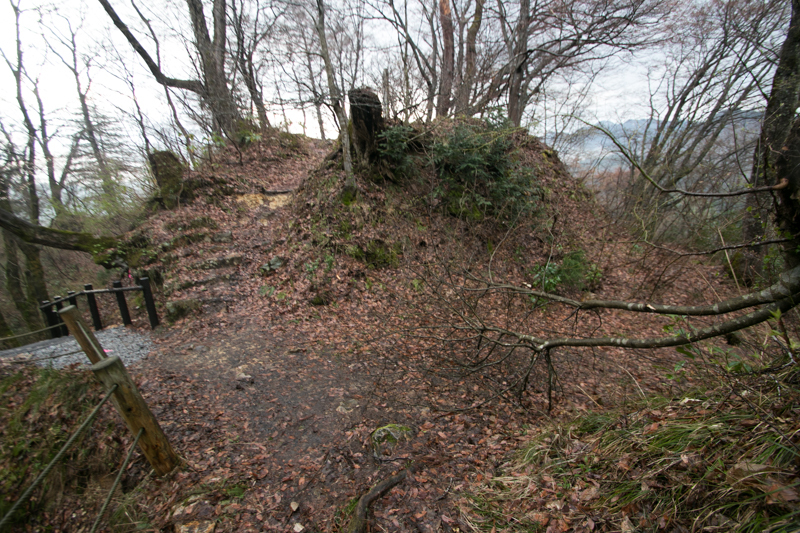 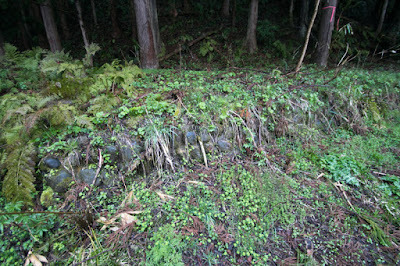 Now all buildings of the castle was lost, but shape of castle well remain at the hill. Now there is no ship passing Aga river, but lying dragon mountain lost its lord is still looking at westward same as before. 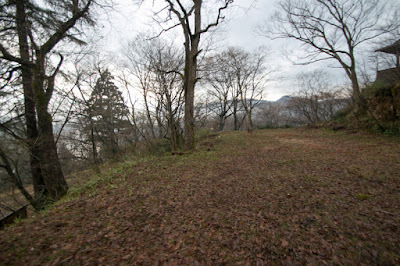 In autumn season castle site is covered by full of colored leaf like a fire. 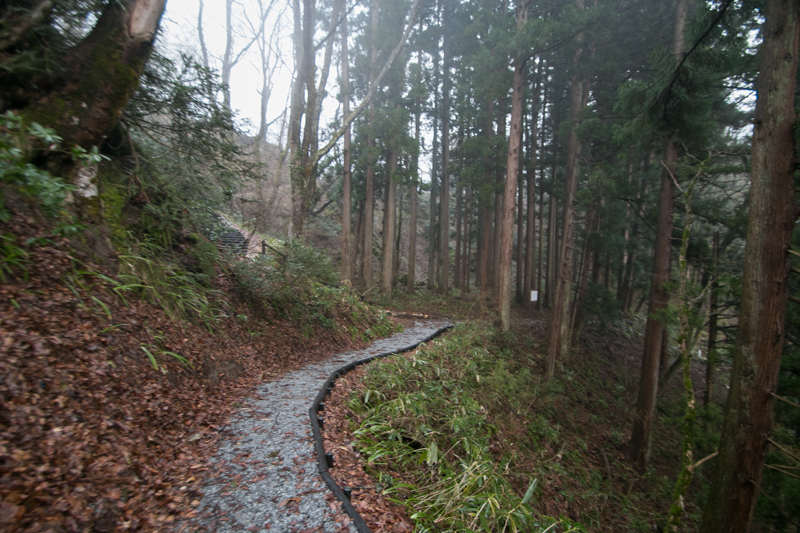 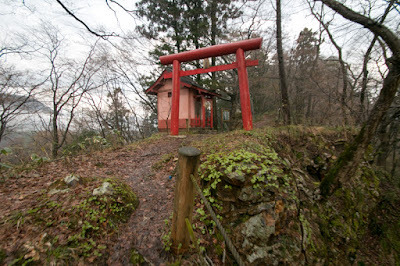 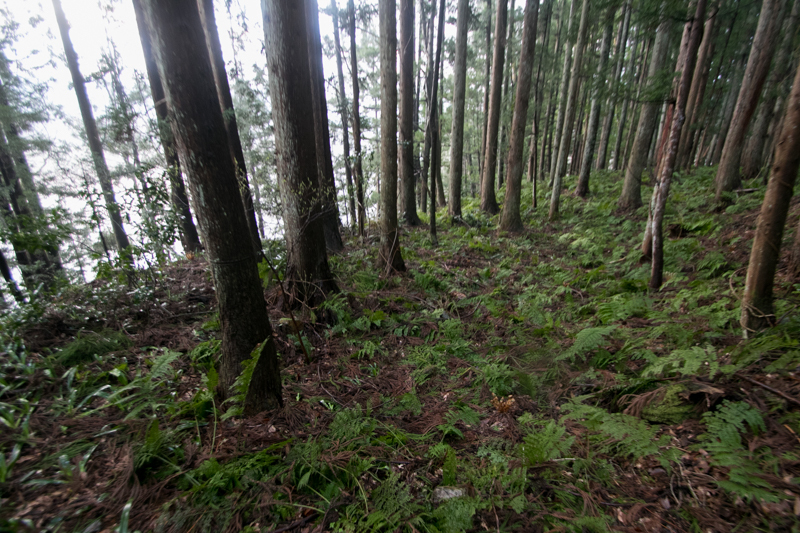 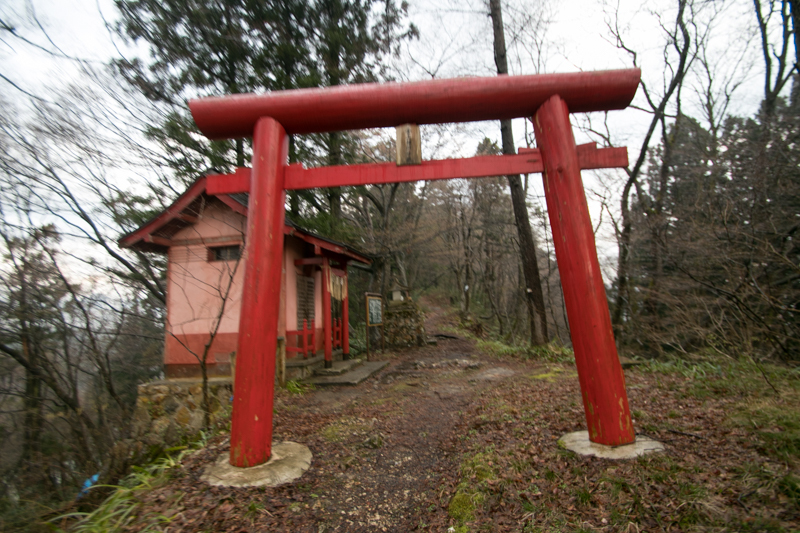 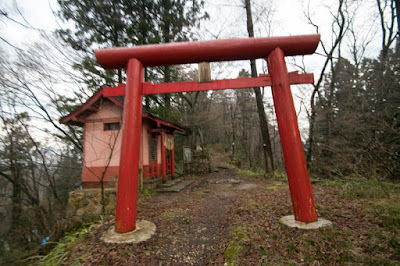 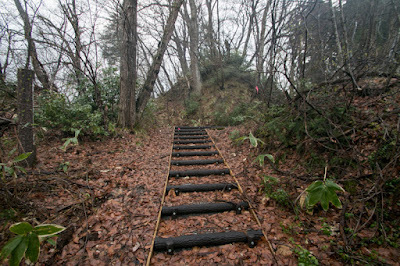 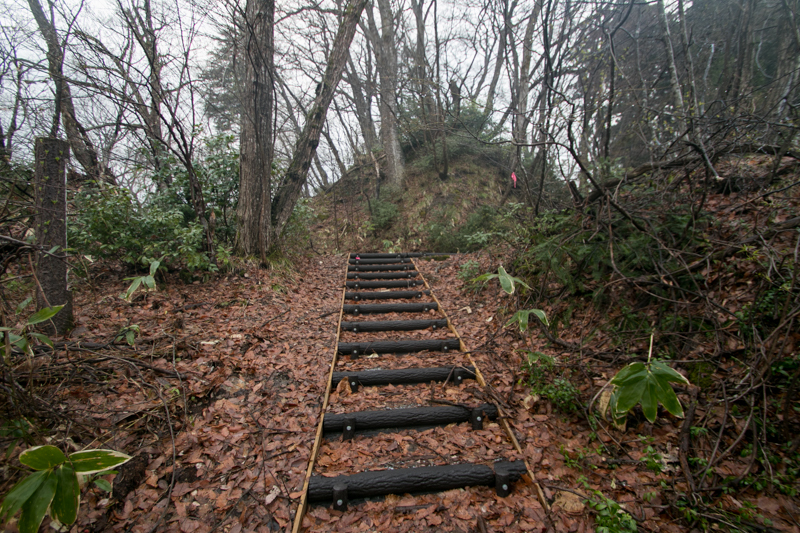 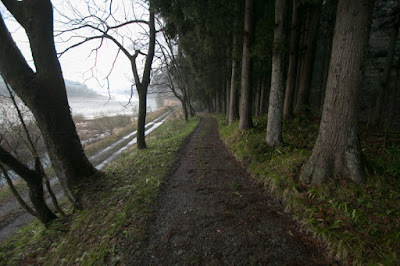 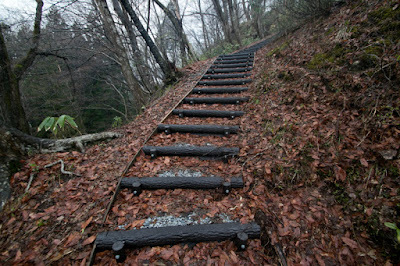 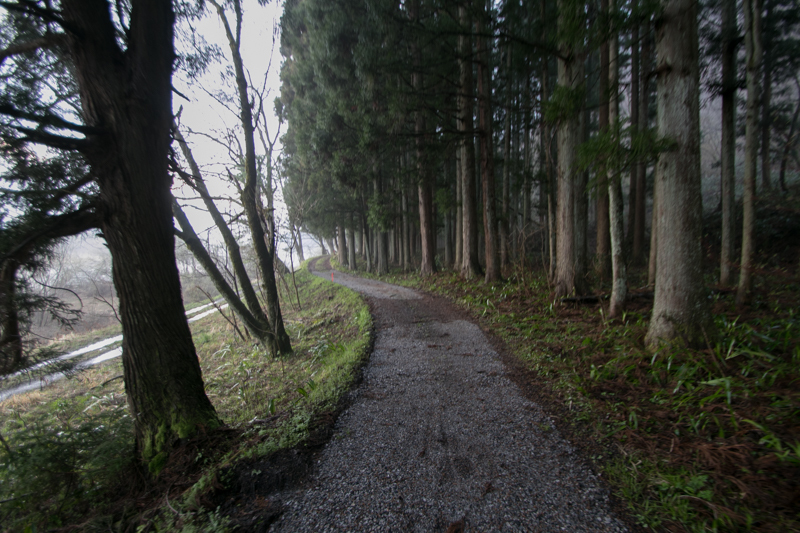 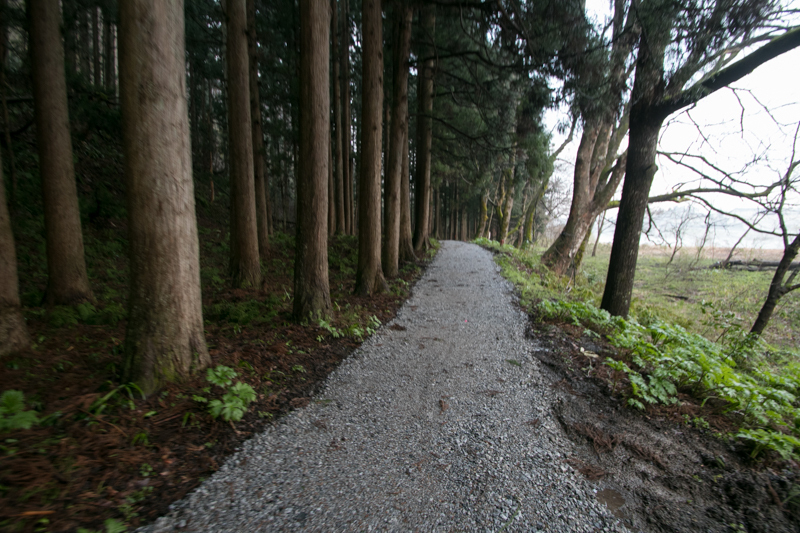 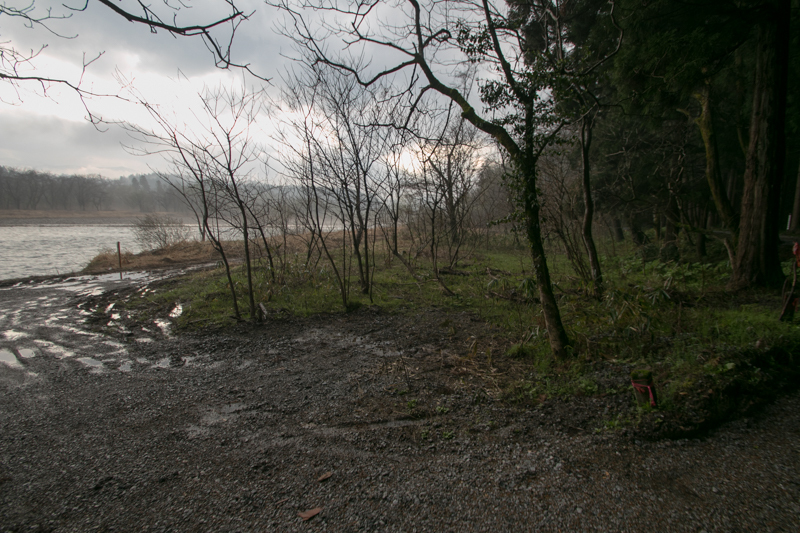 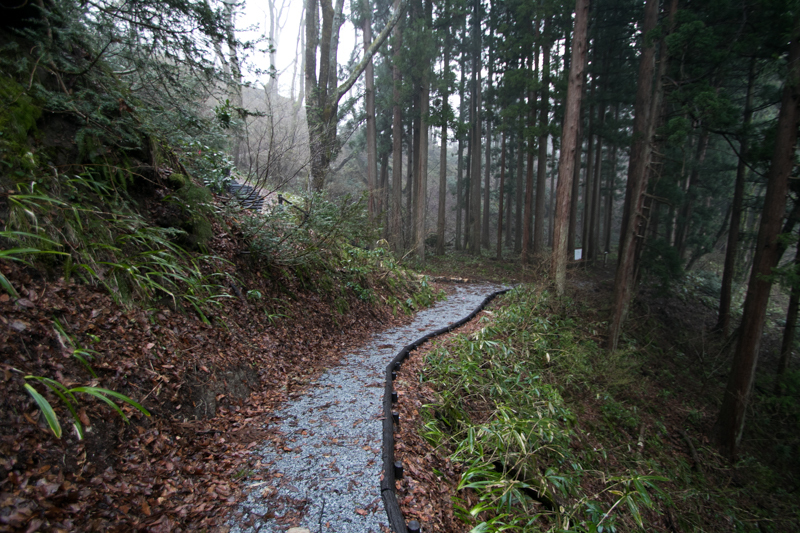 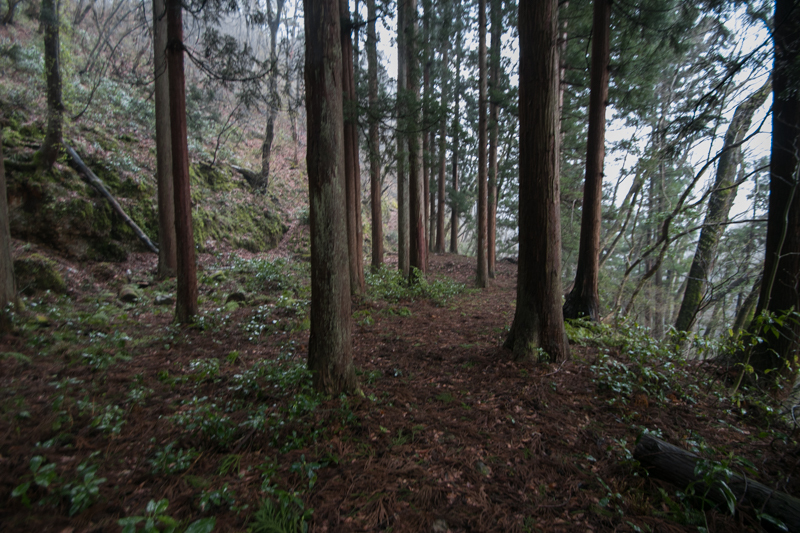 20 minutes walk from JR East Banetsu Nishi-sen Tsugawa station. 15 minutes drive from Banetsu Jidoshado Expressway Tsugawa interchange. 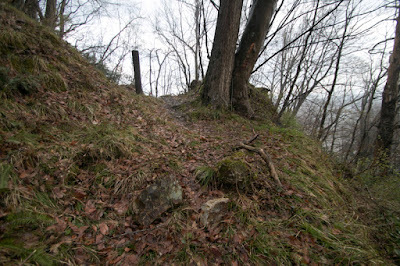 20 minutes walk from entrance to hilltop castle.